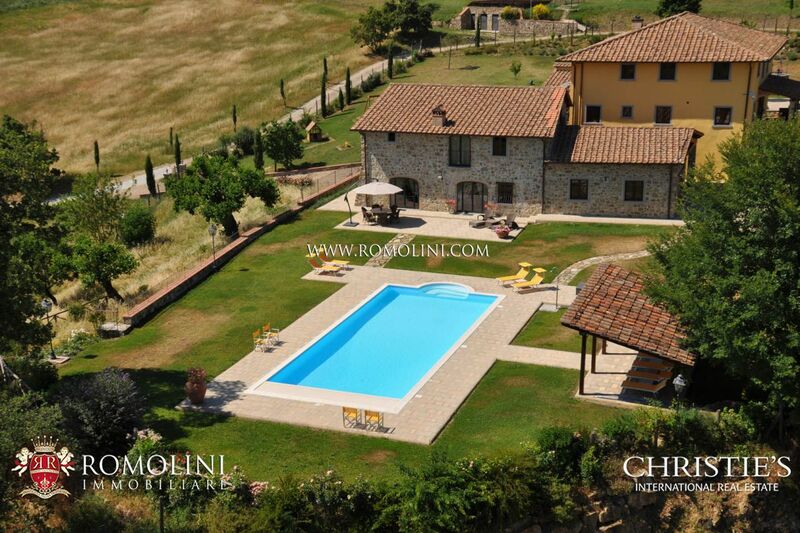 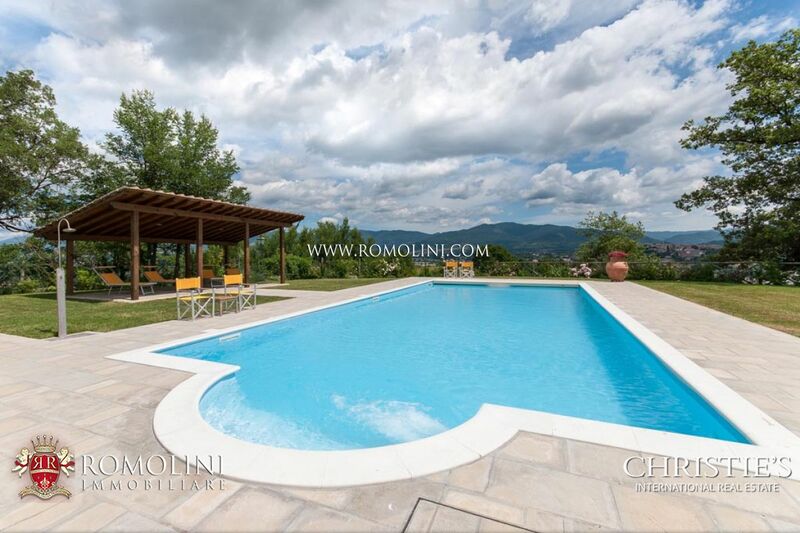 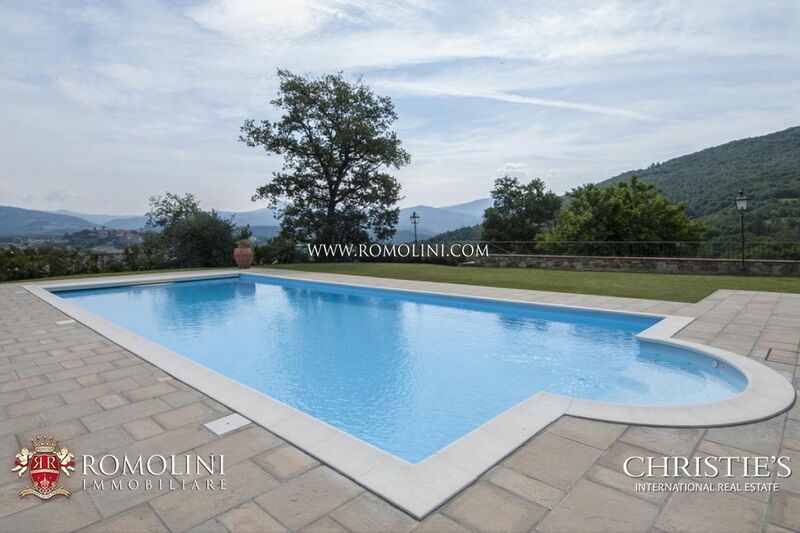 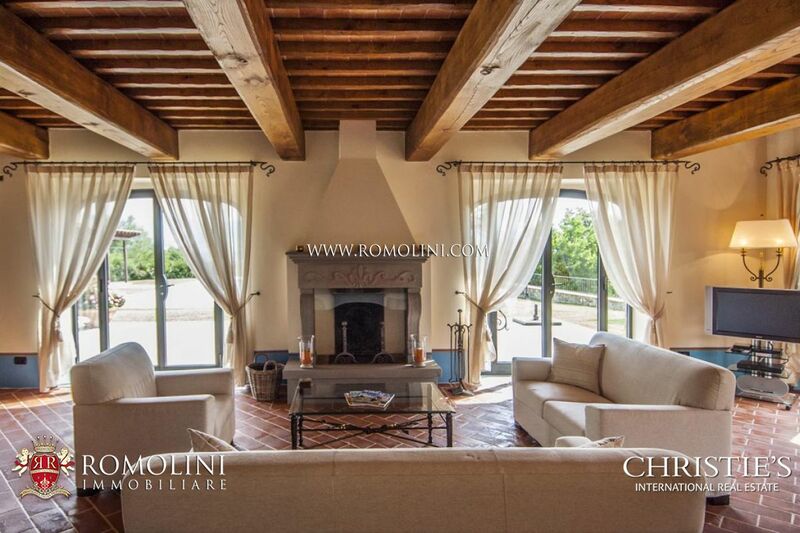 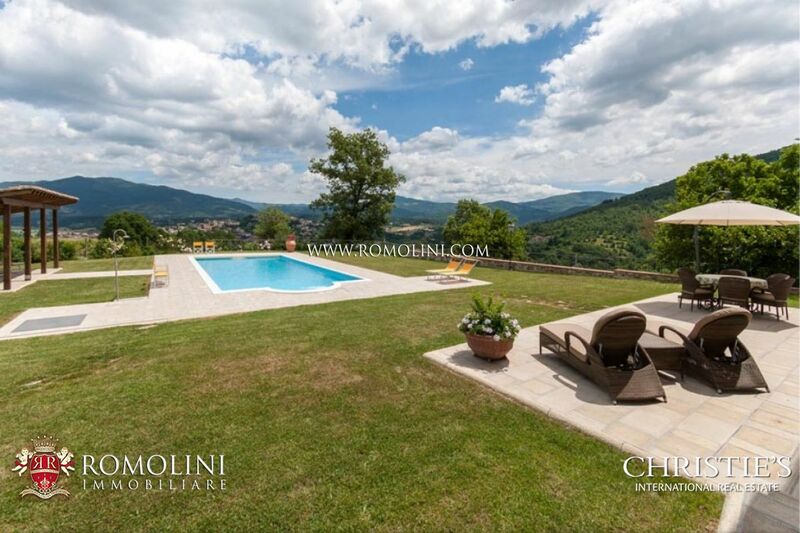 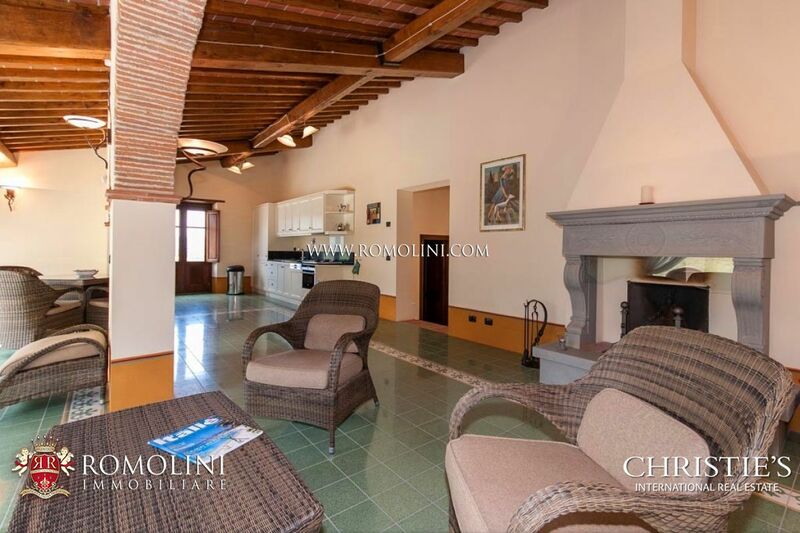 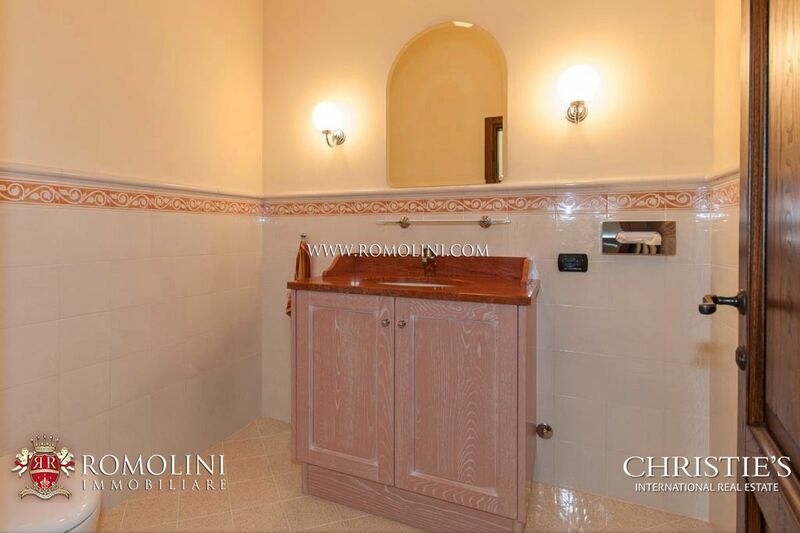 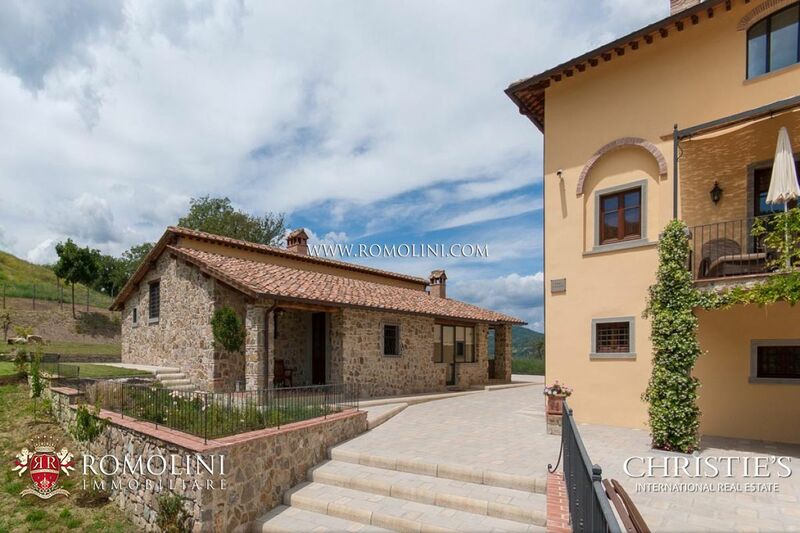 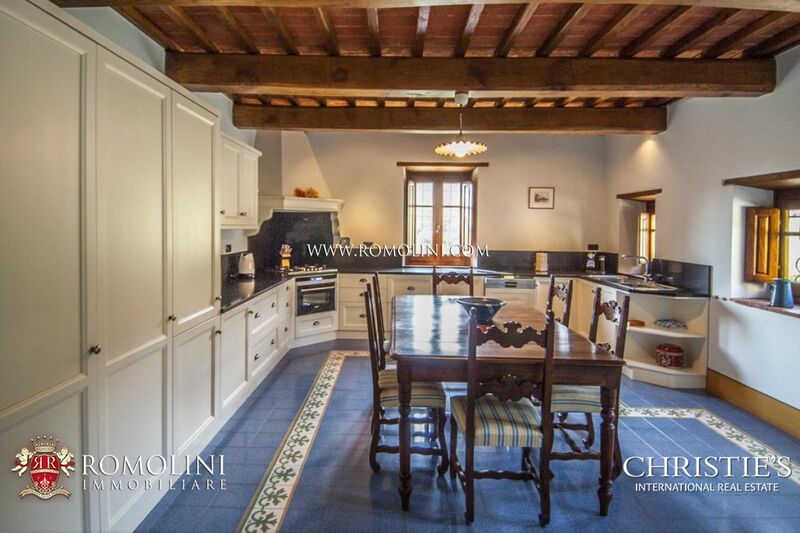 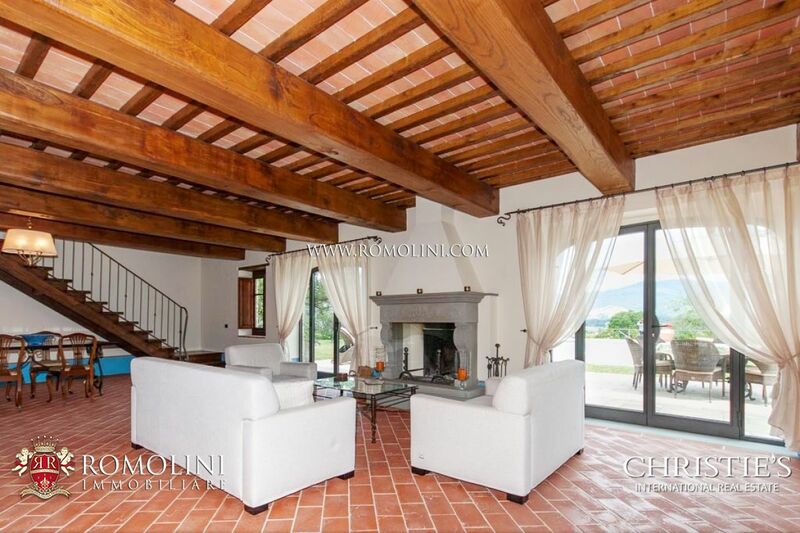 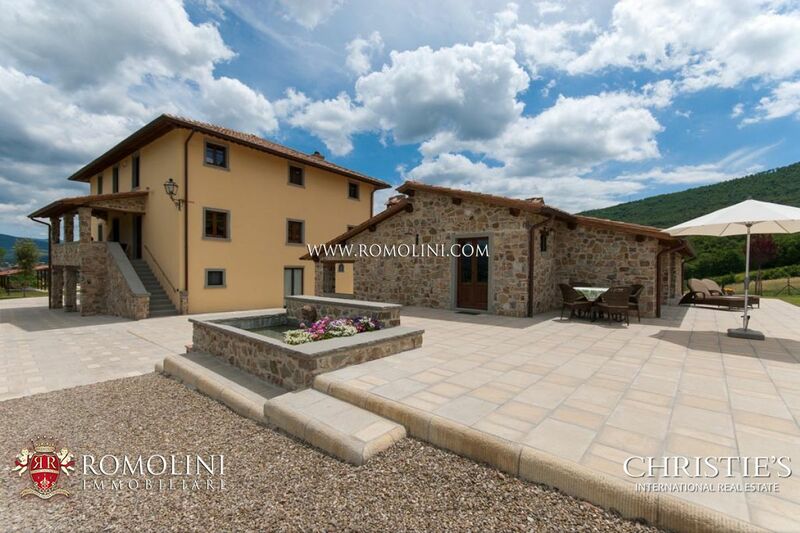 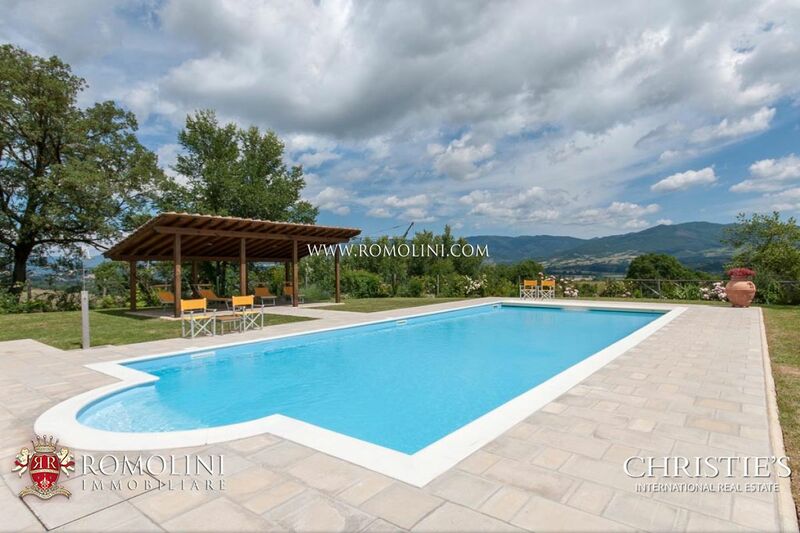 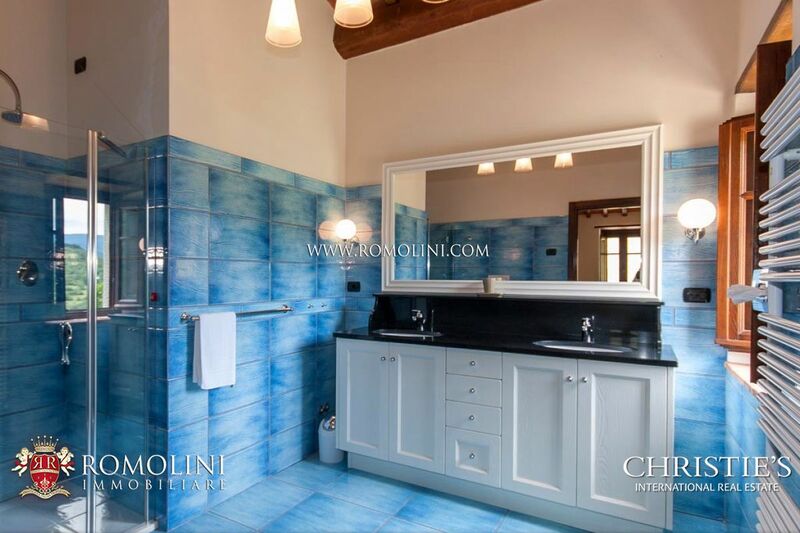 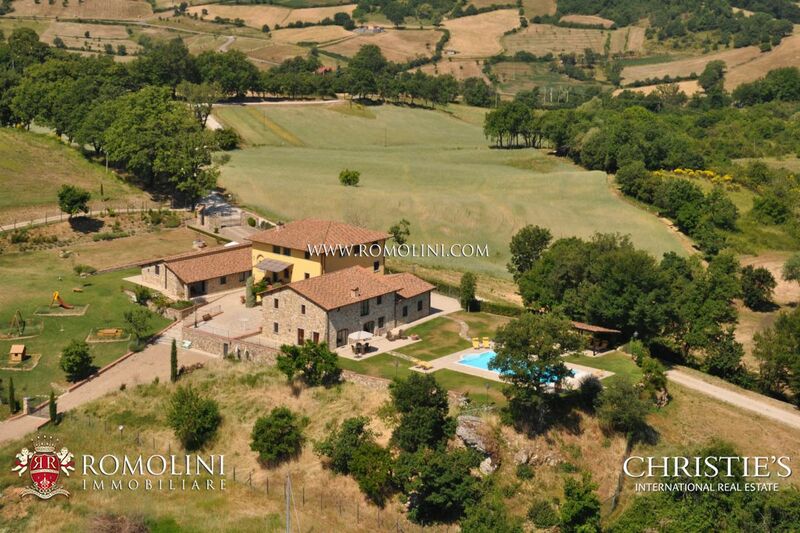 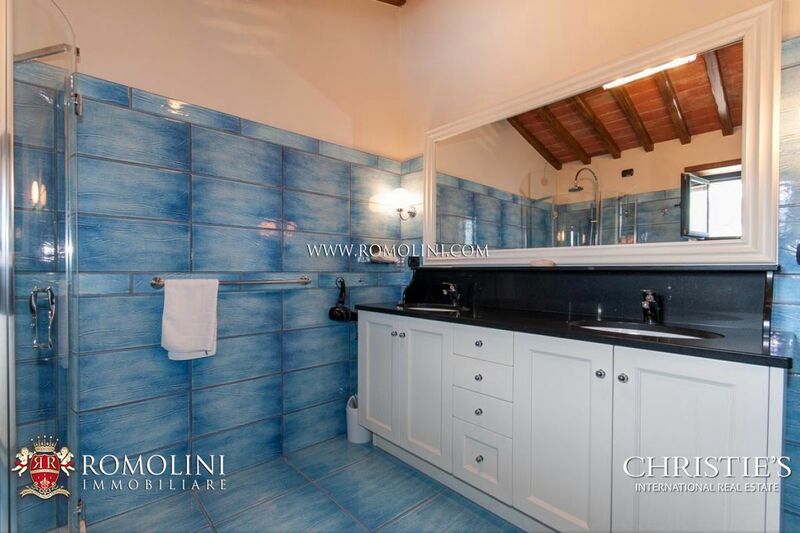 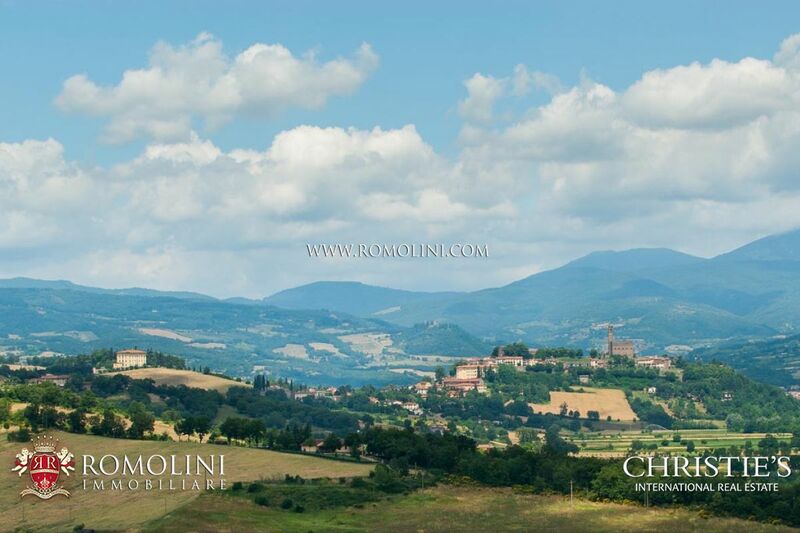 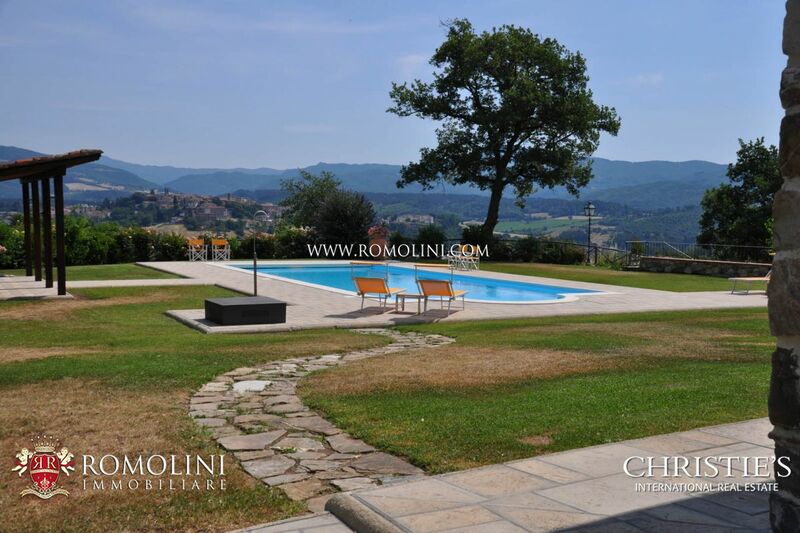 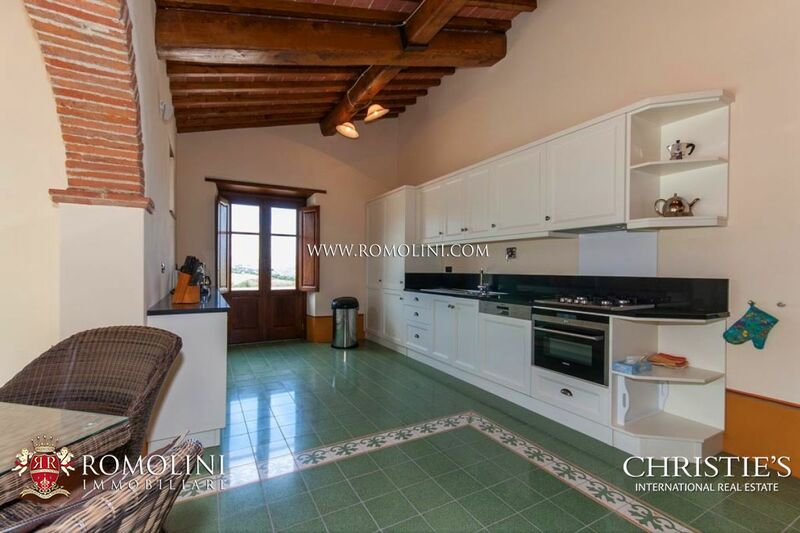 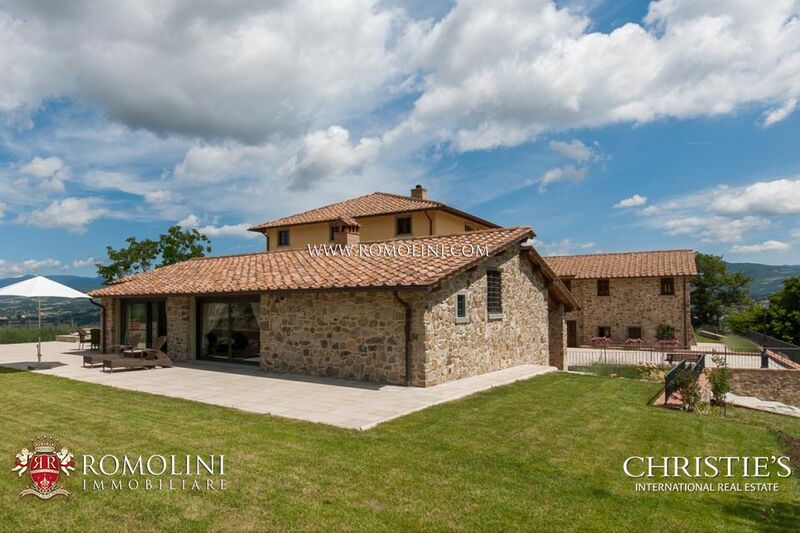 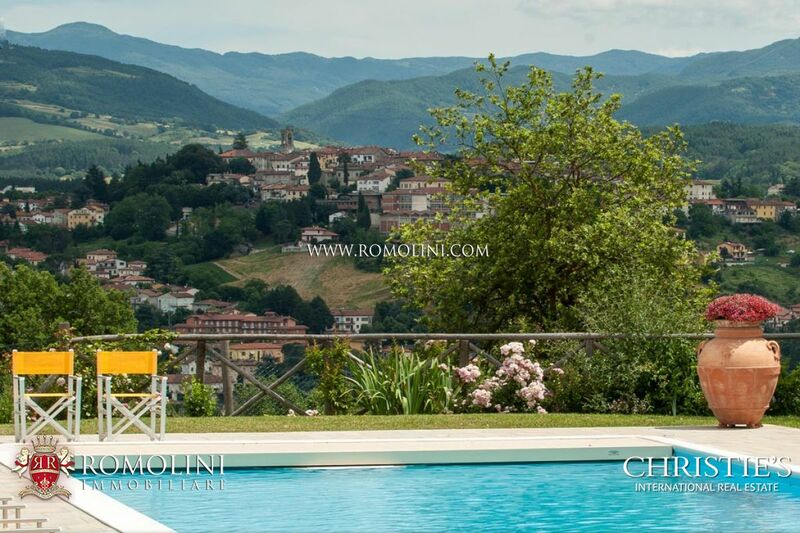 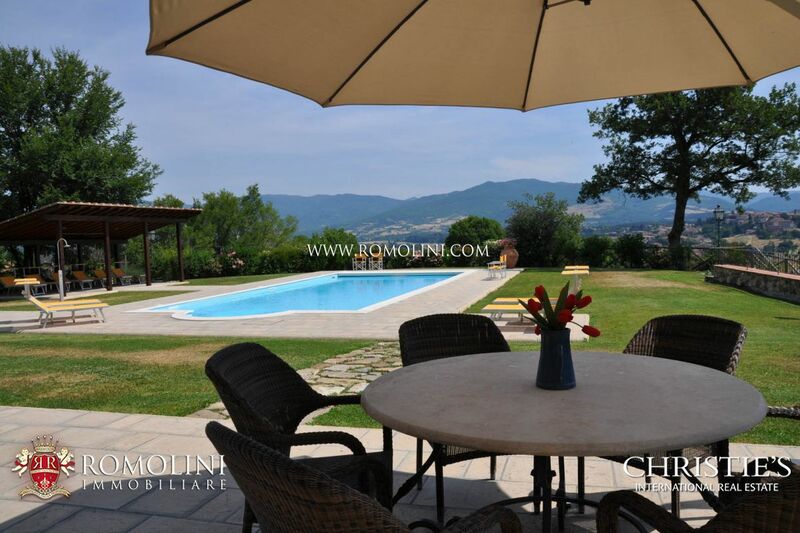 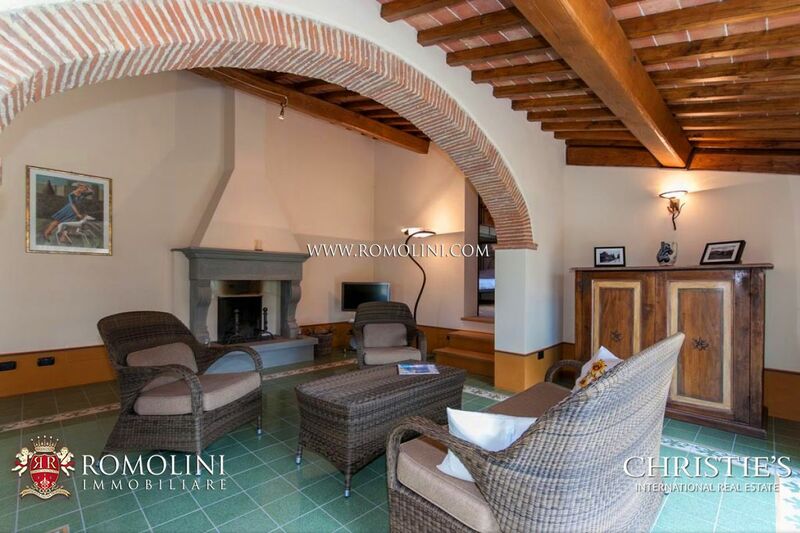 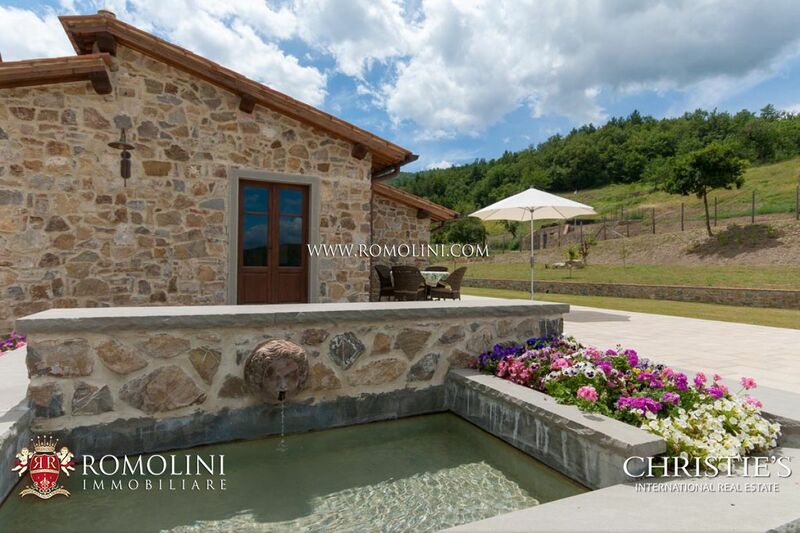 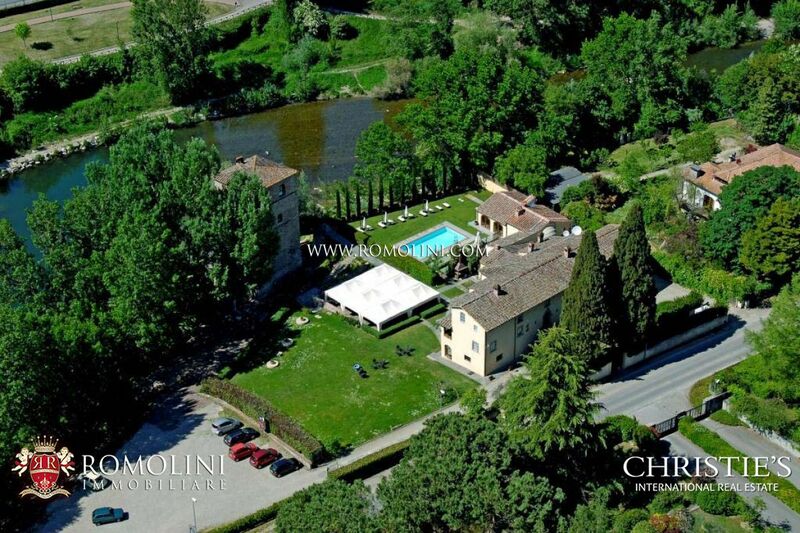 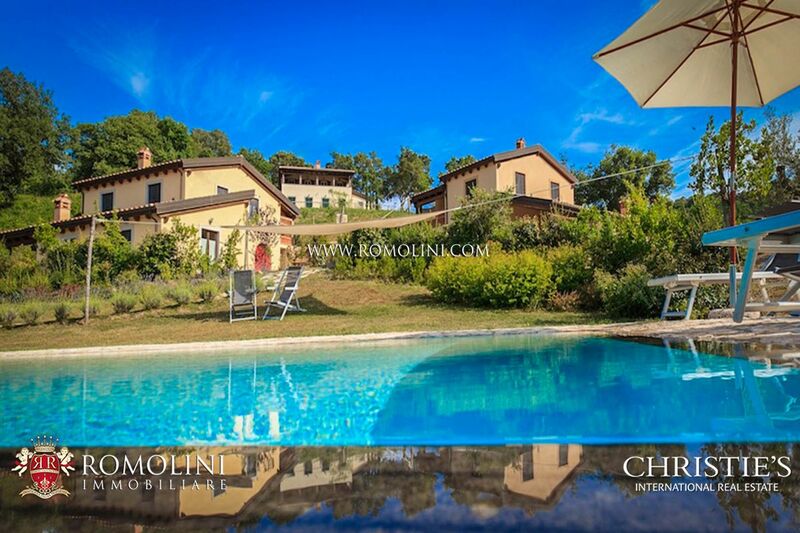 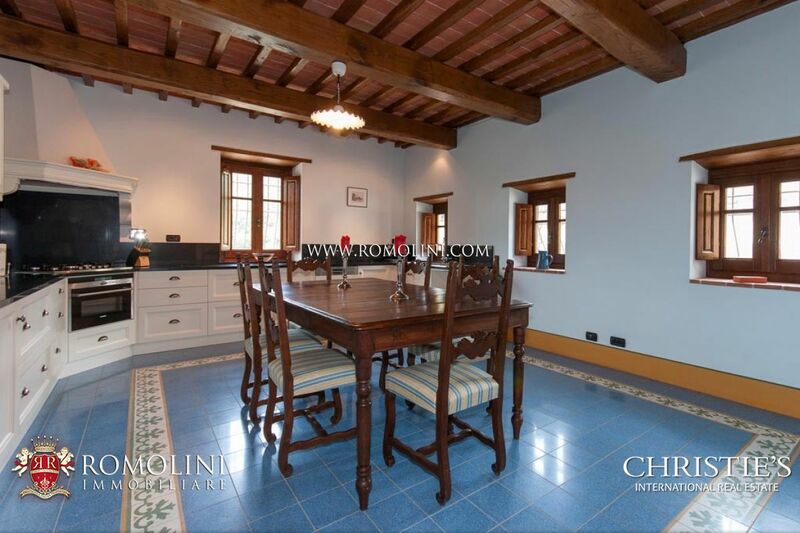 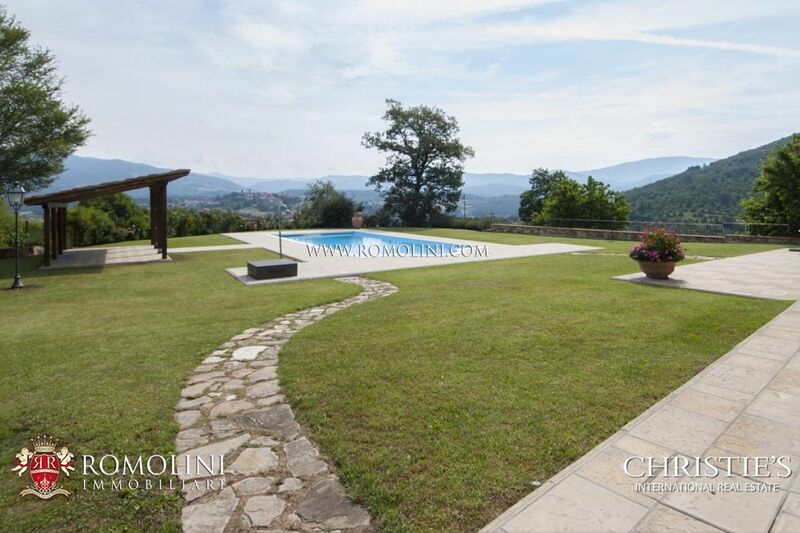 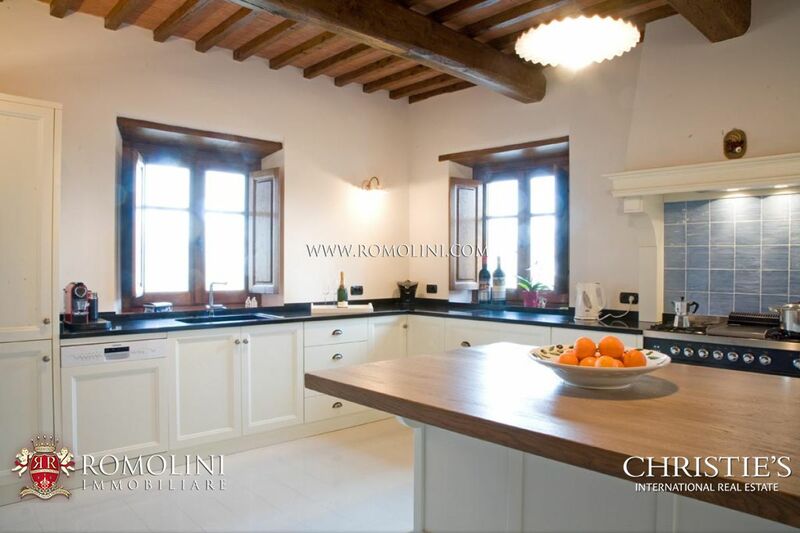 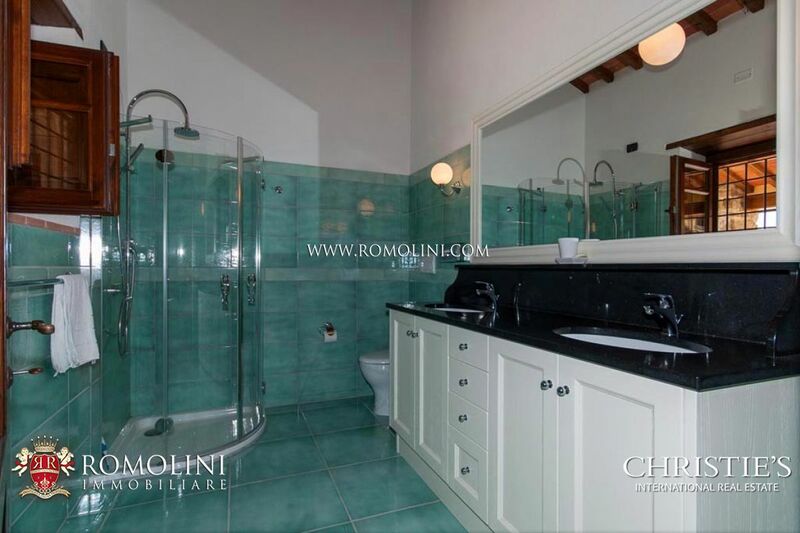 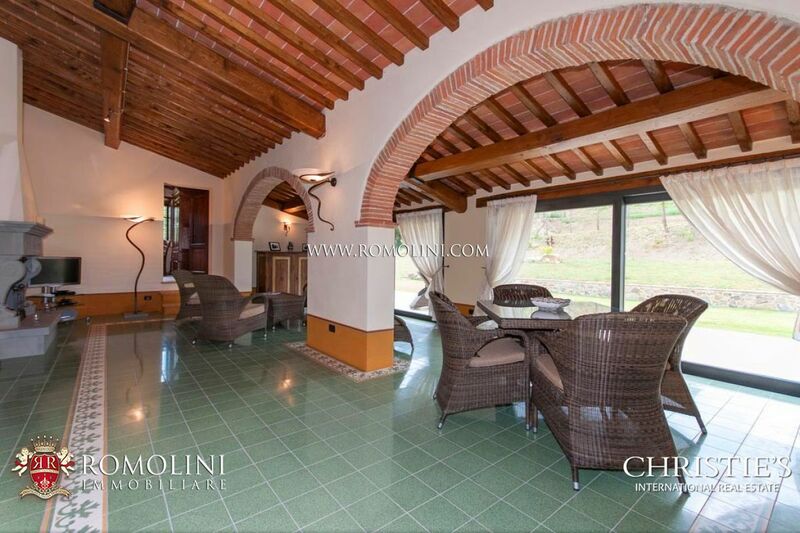 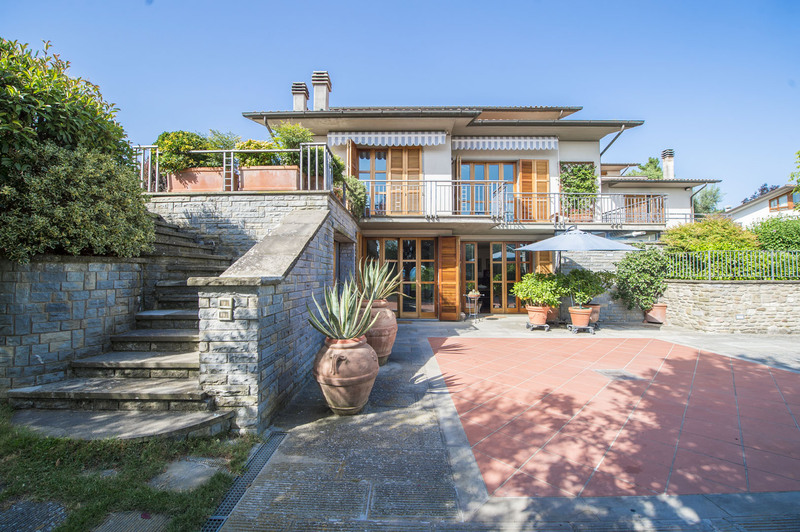 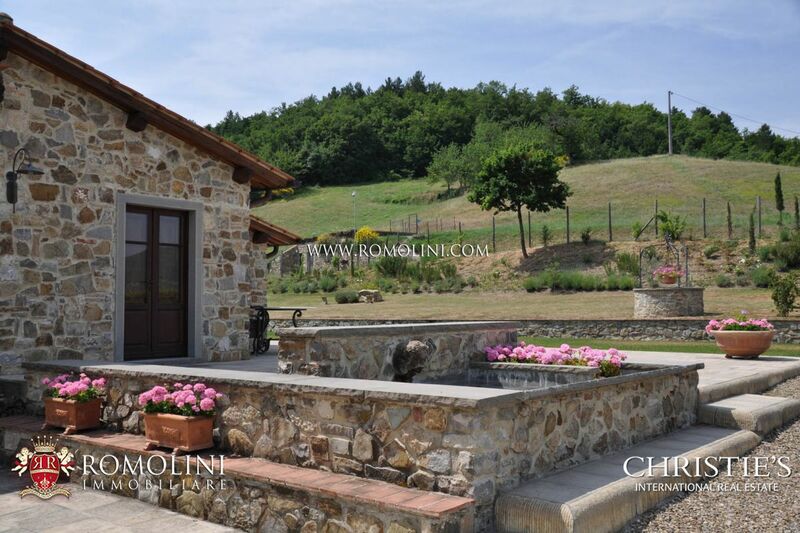 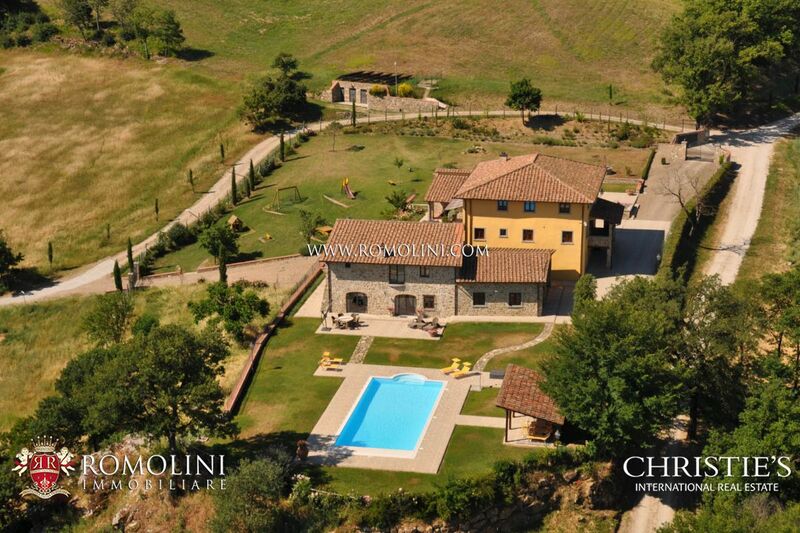 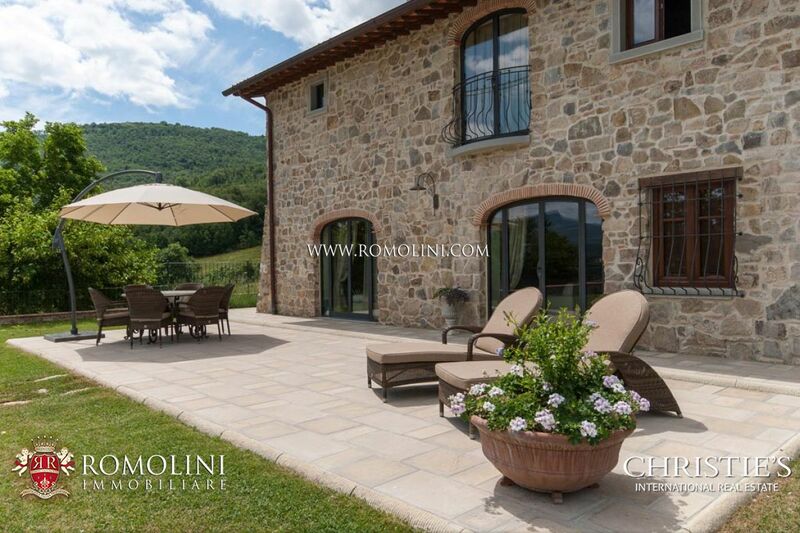 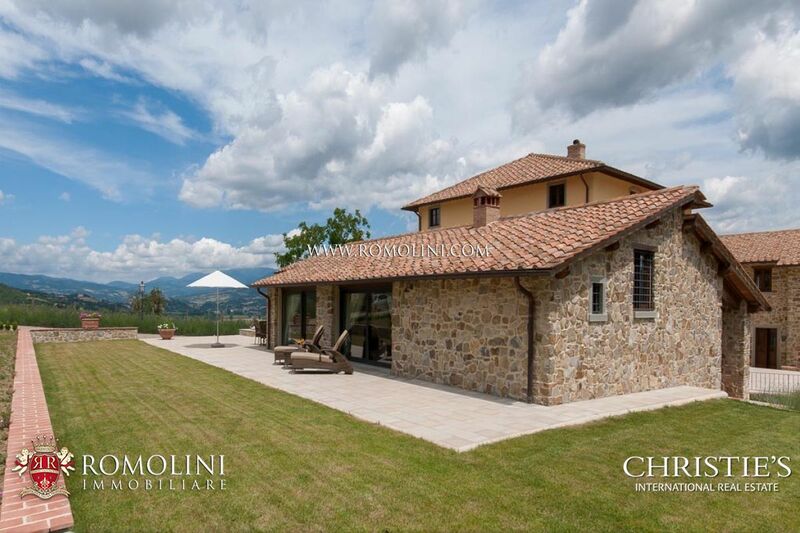 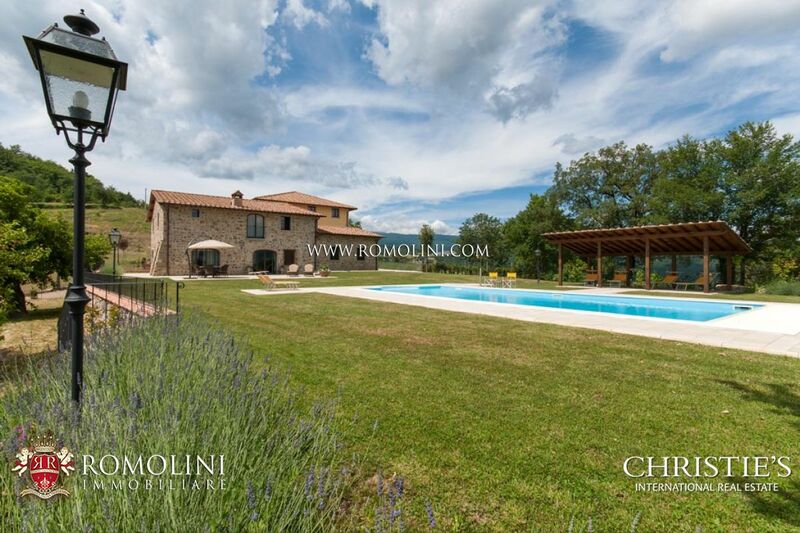 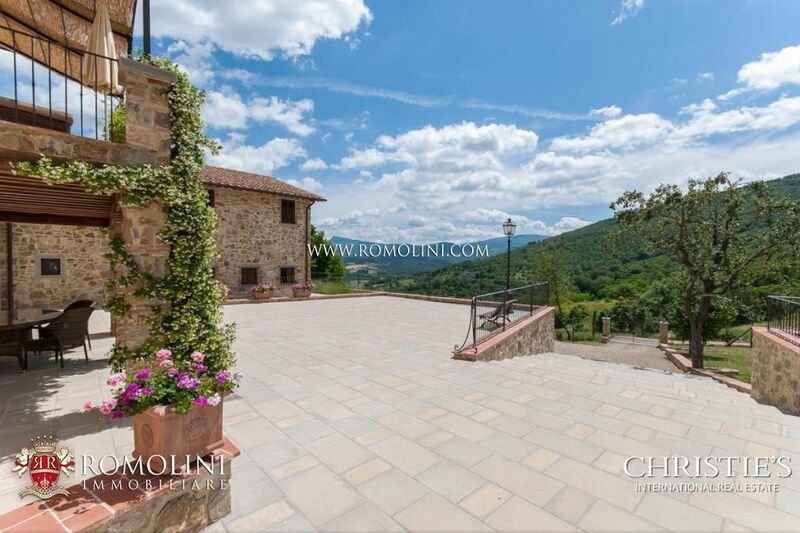 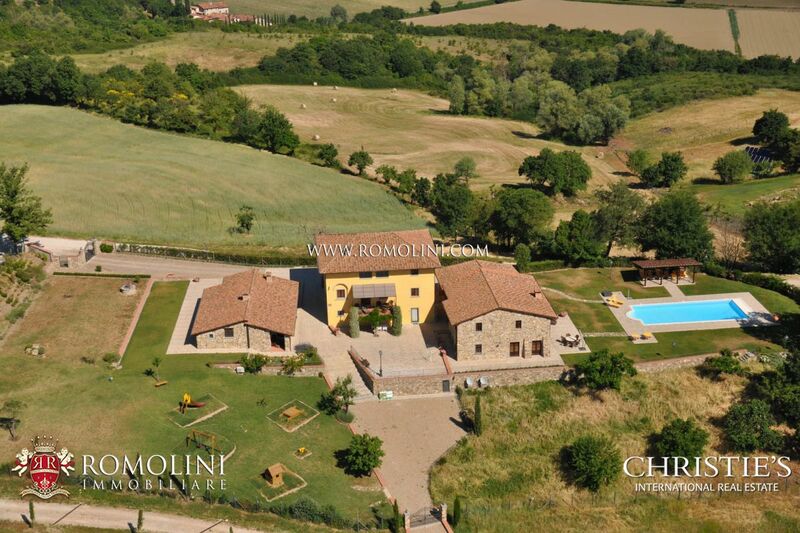 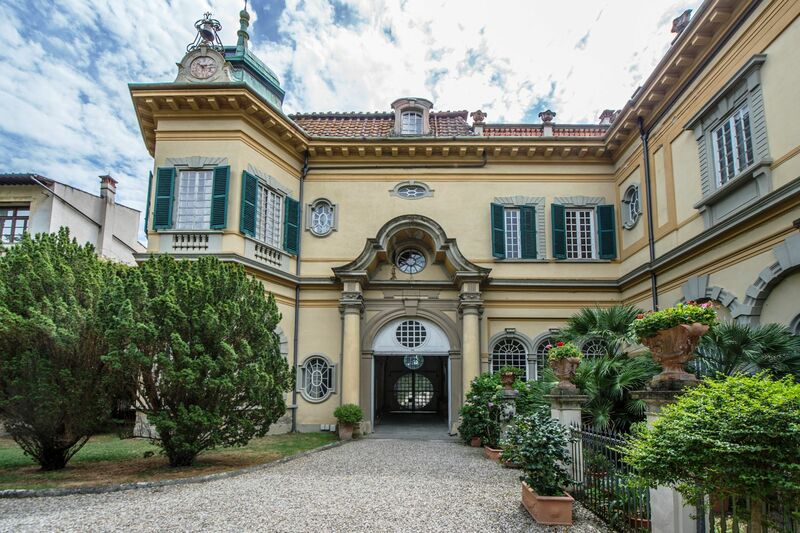 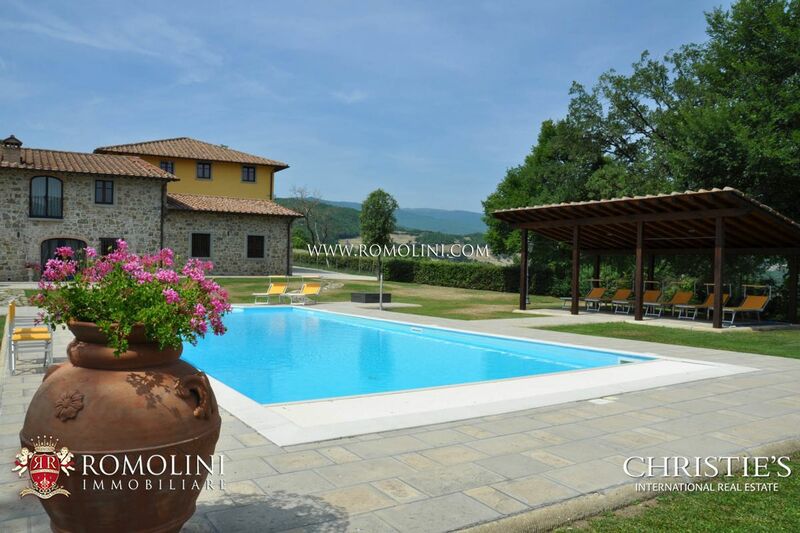 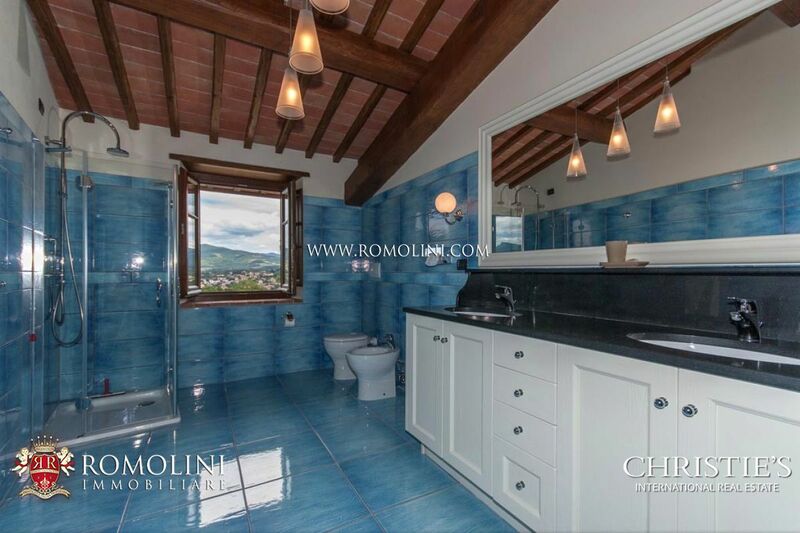 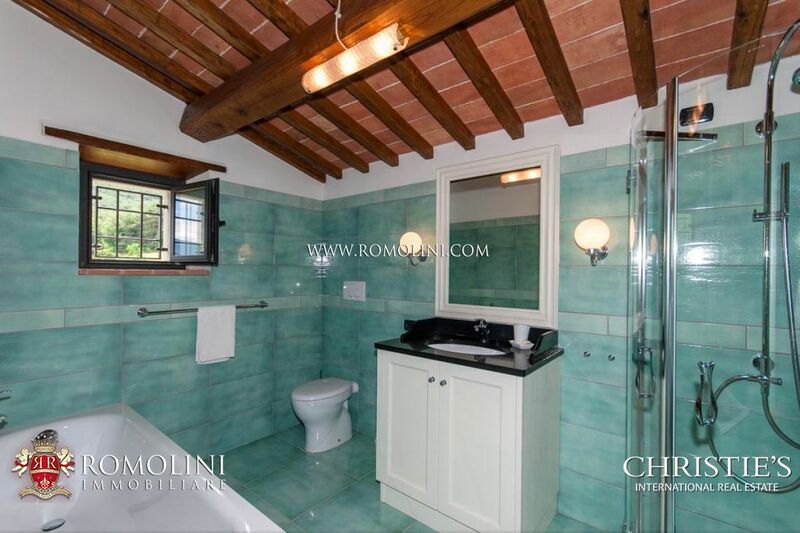 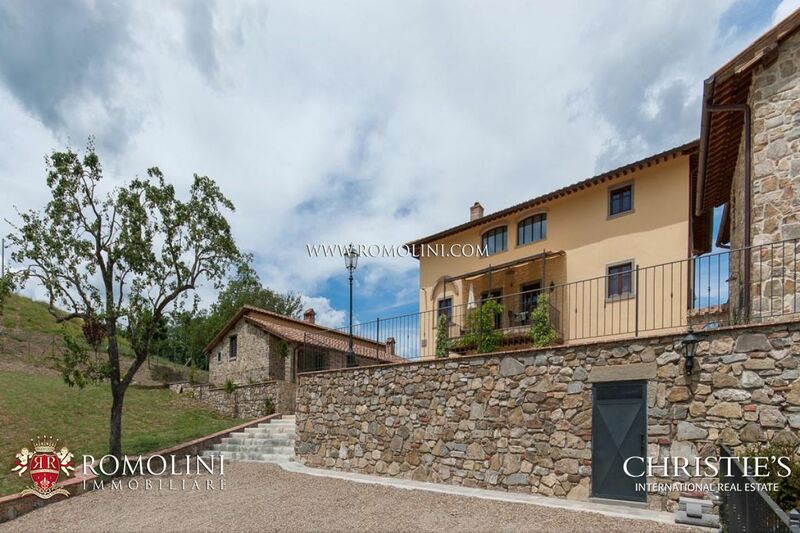 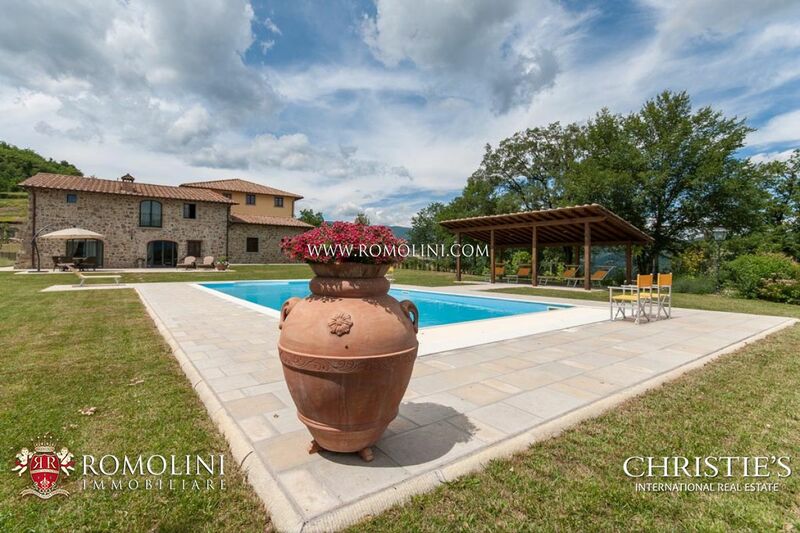 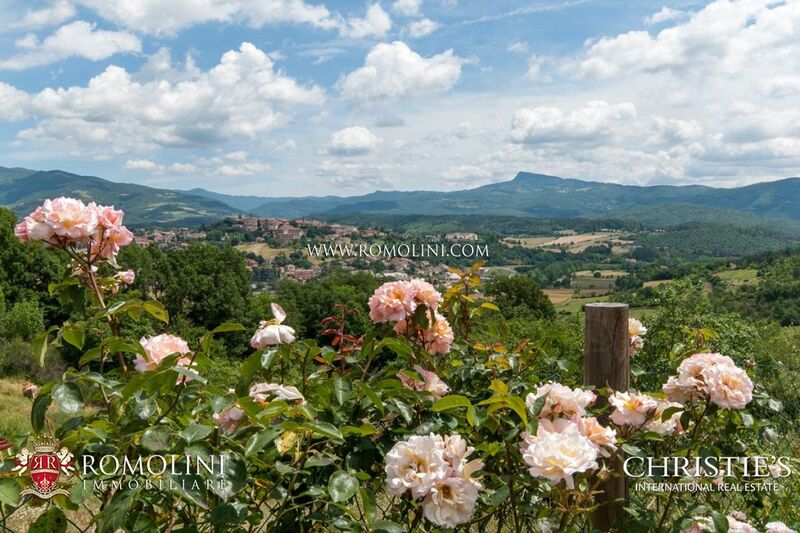 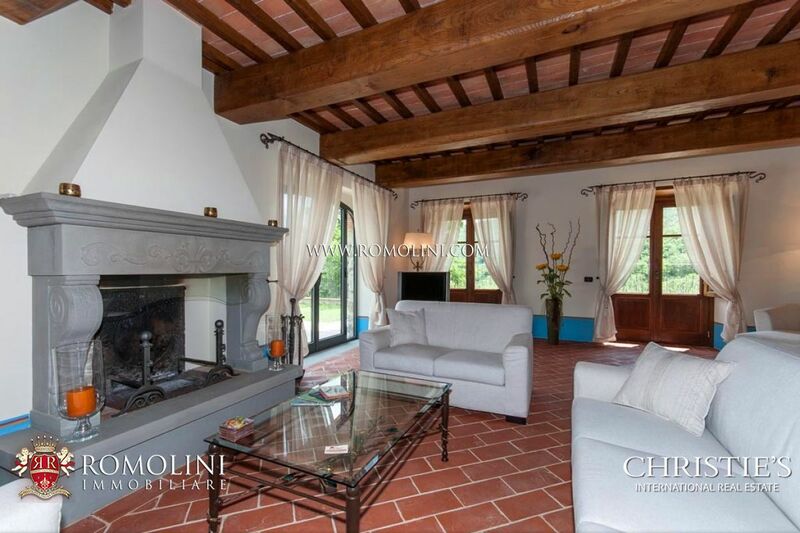 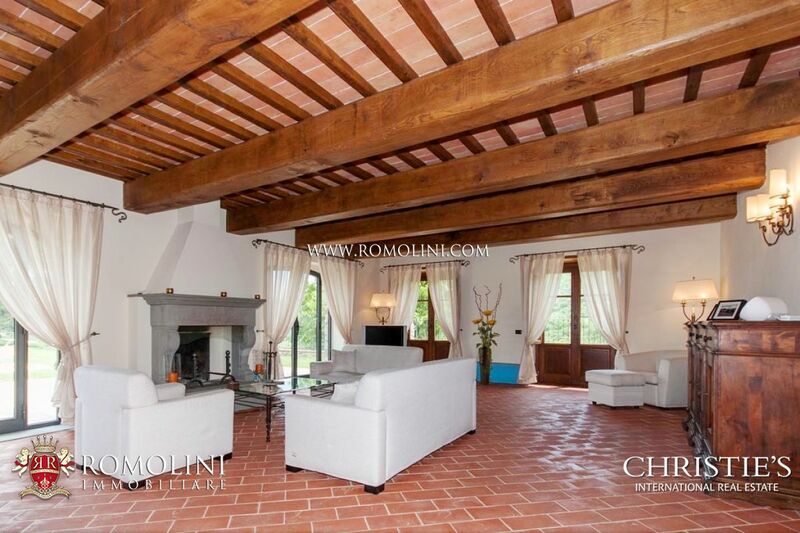 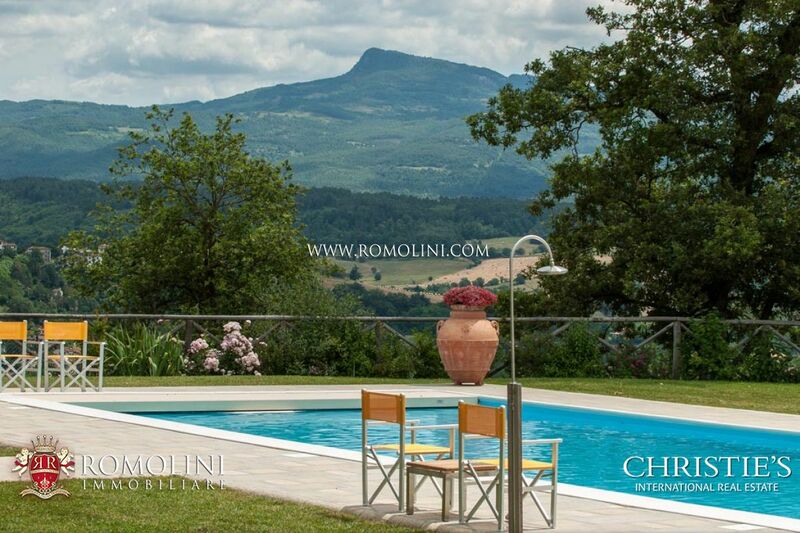 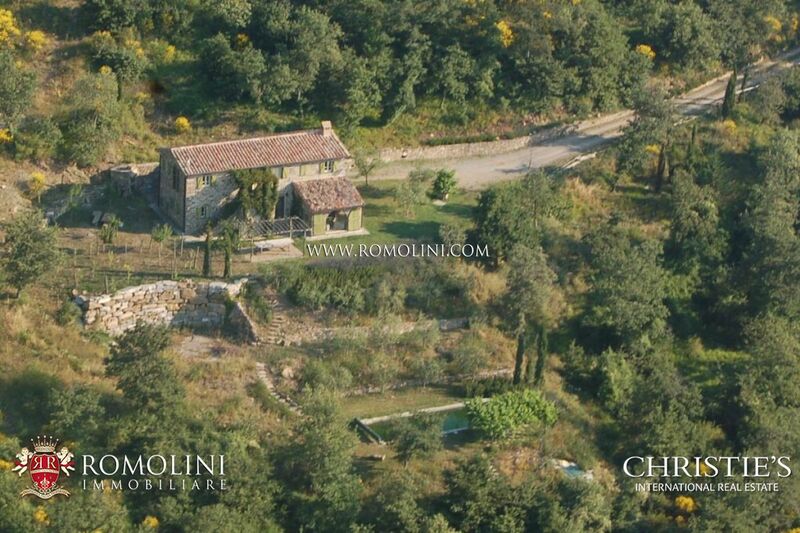 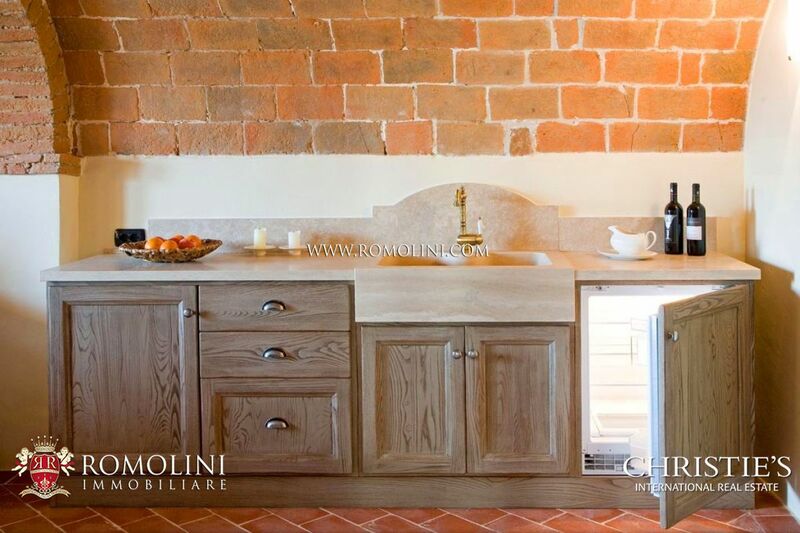 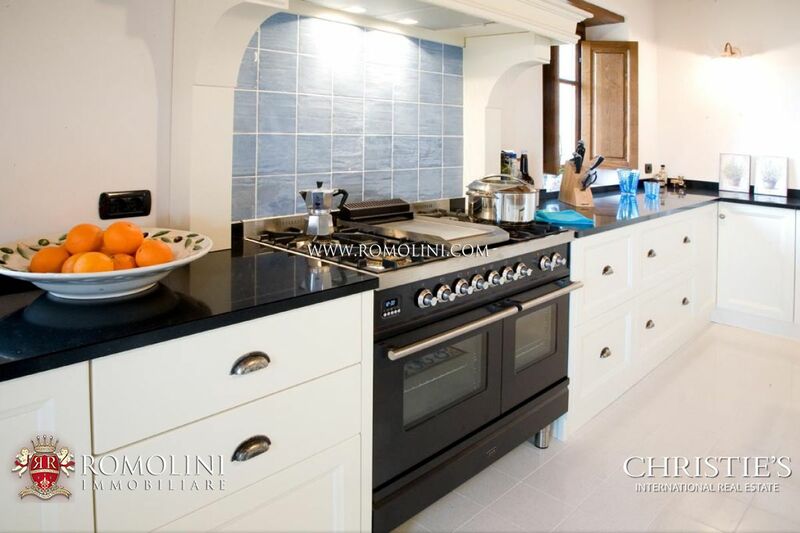 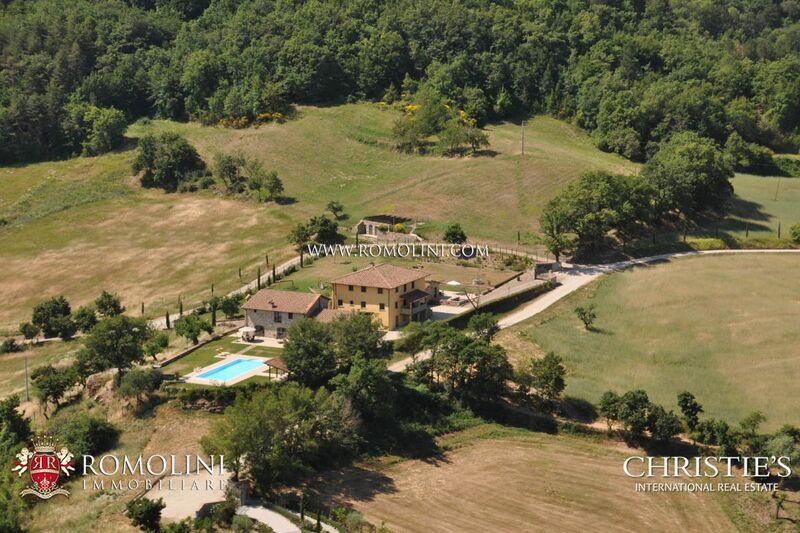 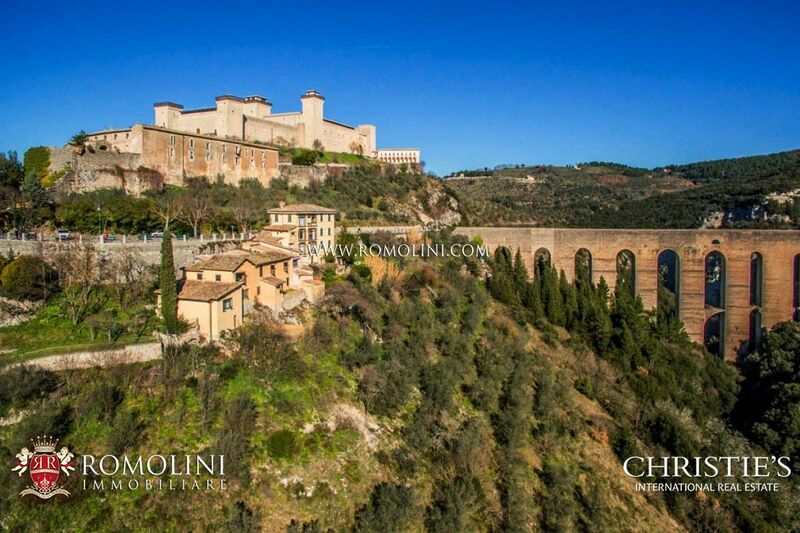 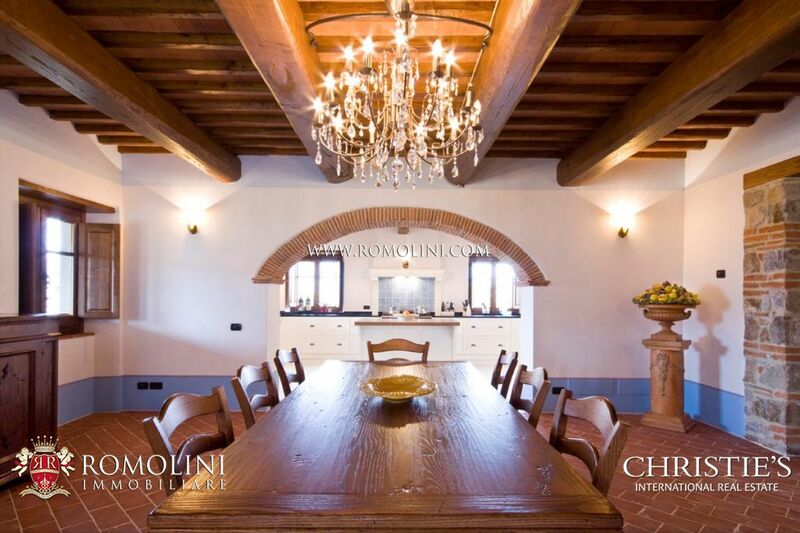 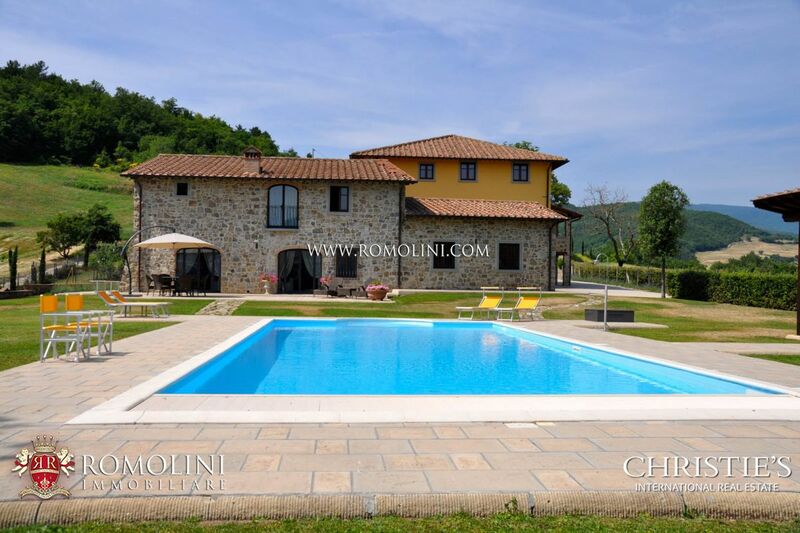 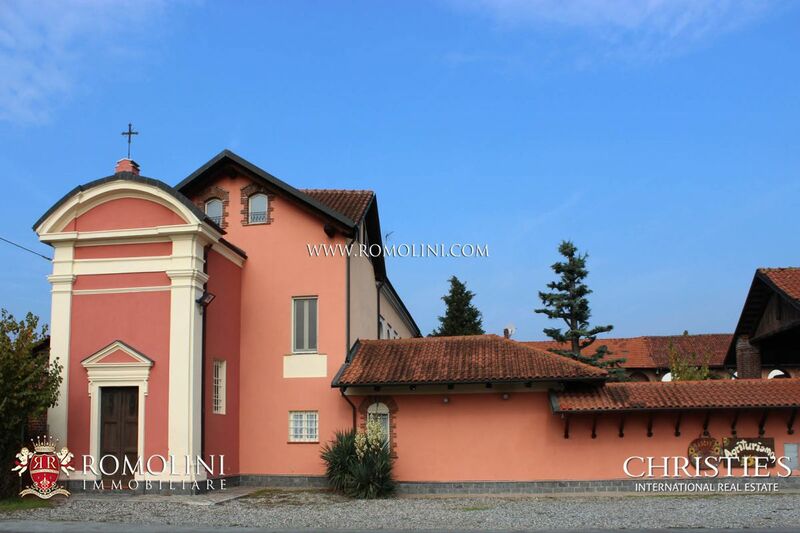 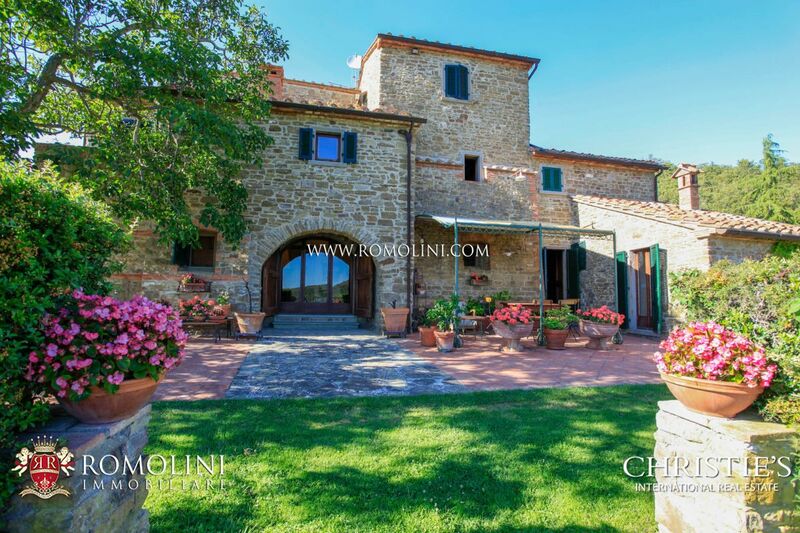 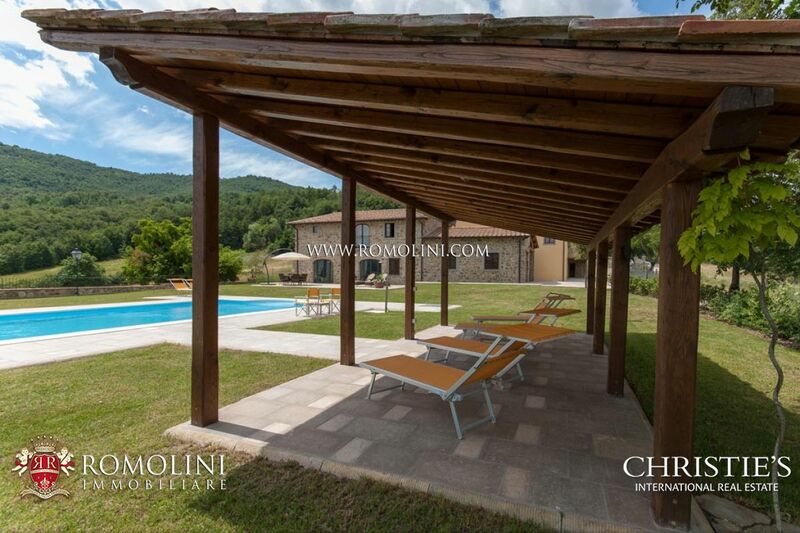 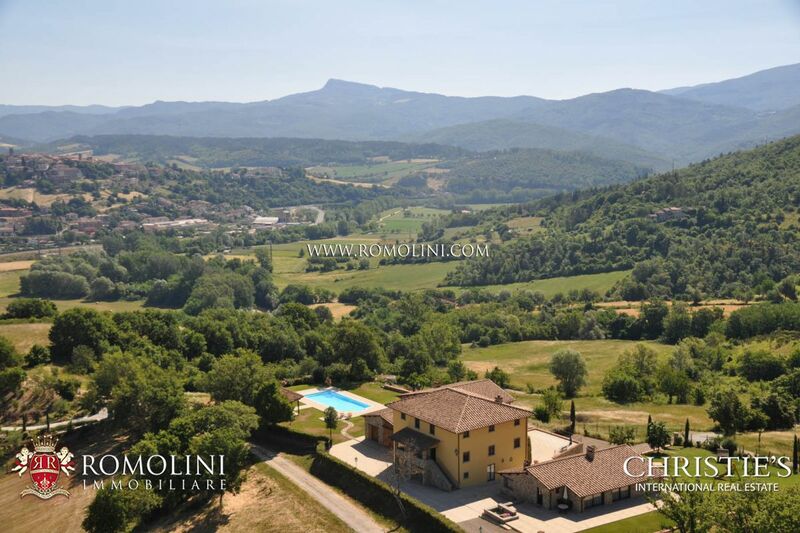 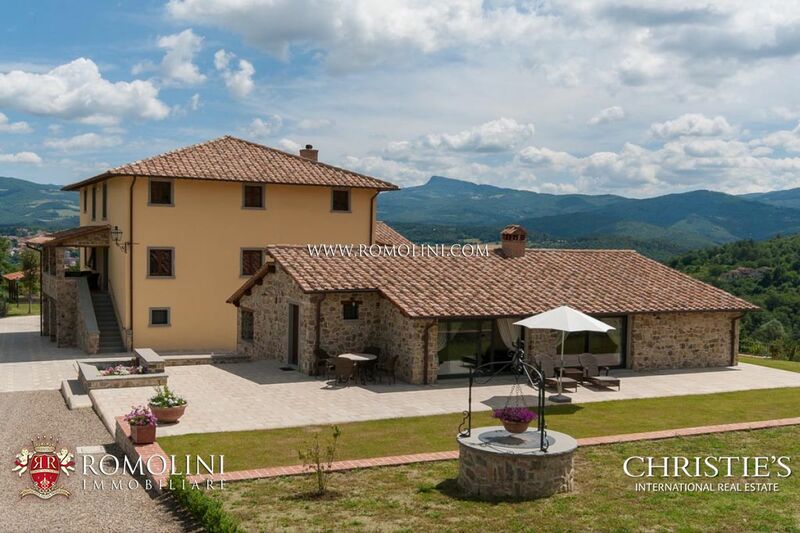 This prestigious property for sale is geographically positioned near Poppi's historic centre, one of the most attractive places of the whole Casentino, Tuscany. 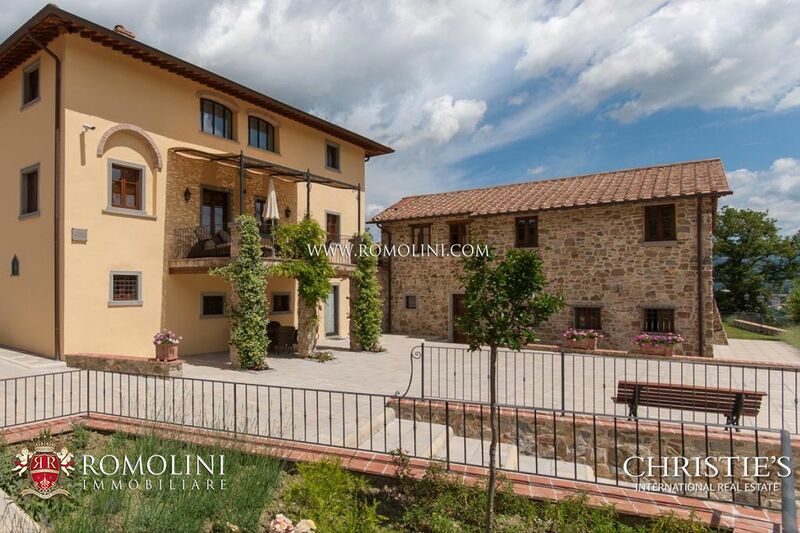 The property, formerly an old farm estate, recently subject to a total renovation, led by the current owners, has been transformed into a luxury real estate complex. 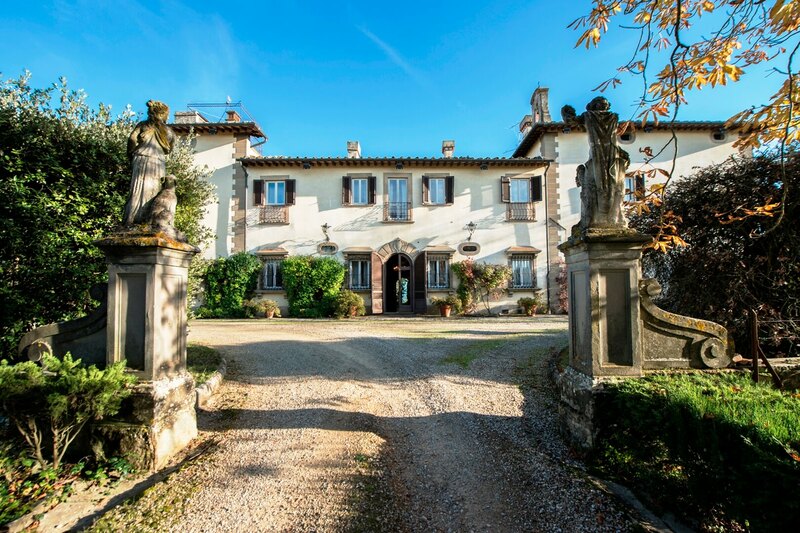 It is set within 35 hectares ( or 86.5 acres) of land bordering with the Arno river and with the Foreste Casentinesi National Park. 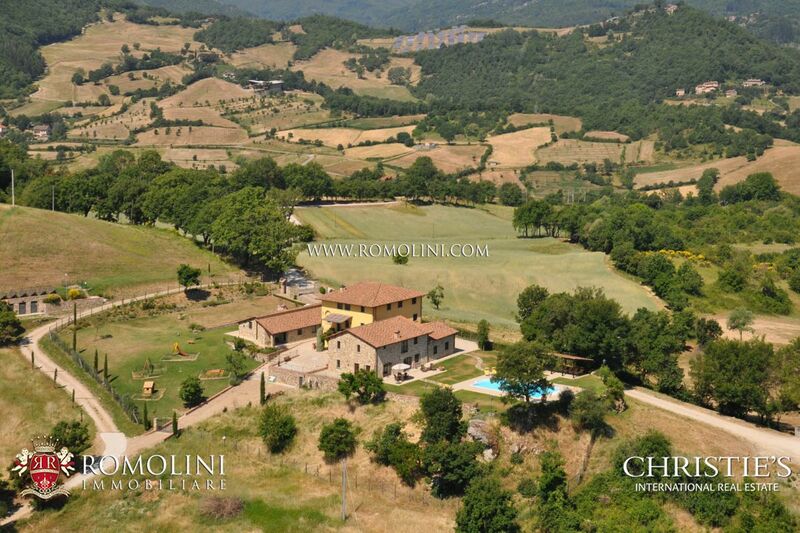 It enjoys a hilly panoramic position, totally surrounded by green unspoiled landscape. 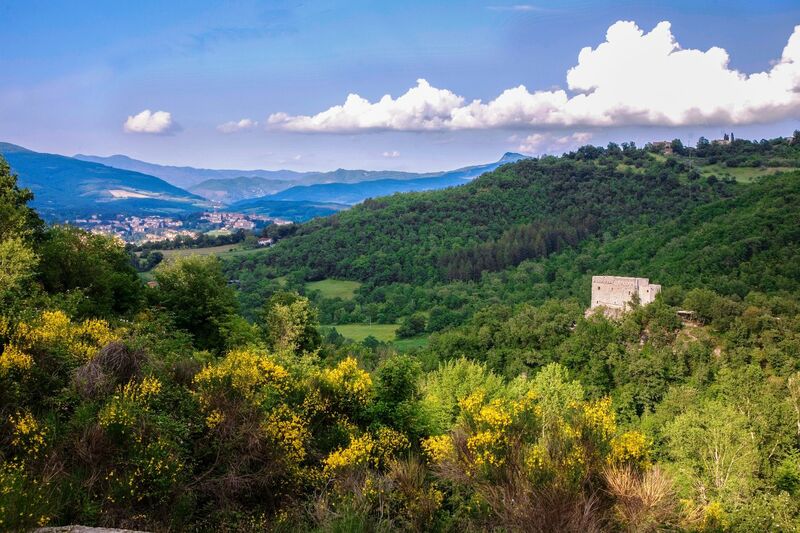 Although quiet and reserved, its geographical location is, at the same time, very strategical and gives the chance of reaching very easily all the main centres of Tuscany like Arezzo (38 km; 43’), Firenze (58 km; 1h 35’) and Siena (108 km, 1h 43’). 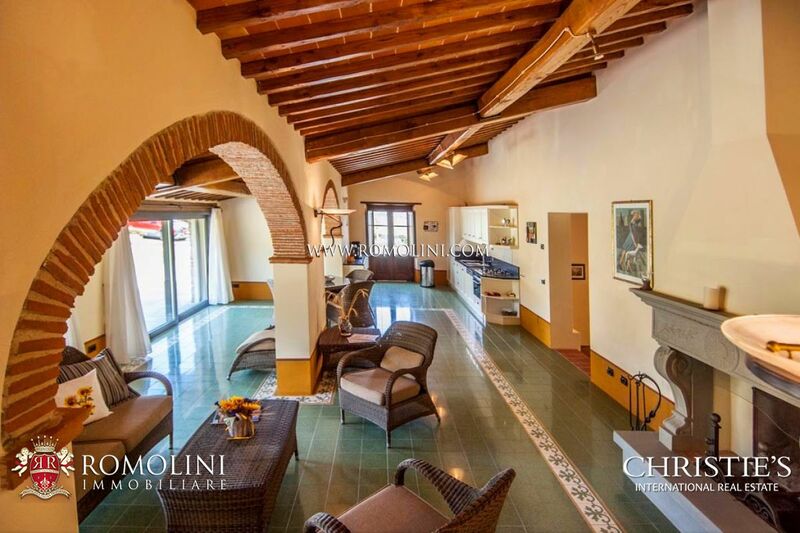 The total indoor surface of 982 square meters (or 10,570 square feet) is composed of three independent buildings: a main villa and two annexes, better described below. 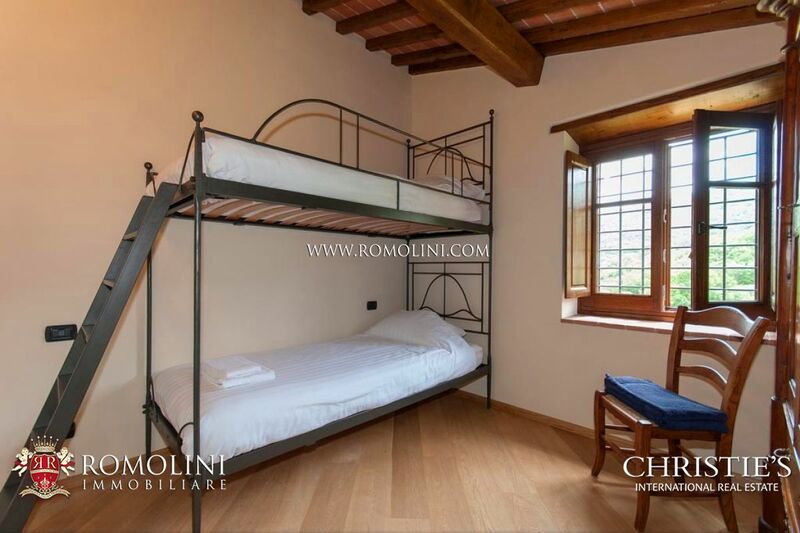 The smaller dependance measures 175 square meters (or 1.884 square feet) and is composed of hall, bathroom, two bedrooms with en-suite bathroom, lounge with fireplace, kitchen and lounge with terrace. 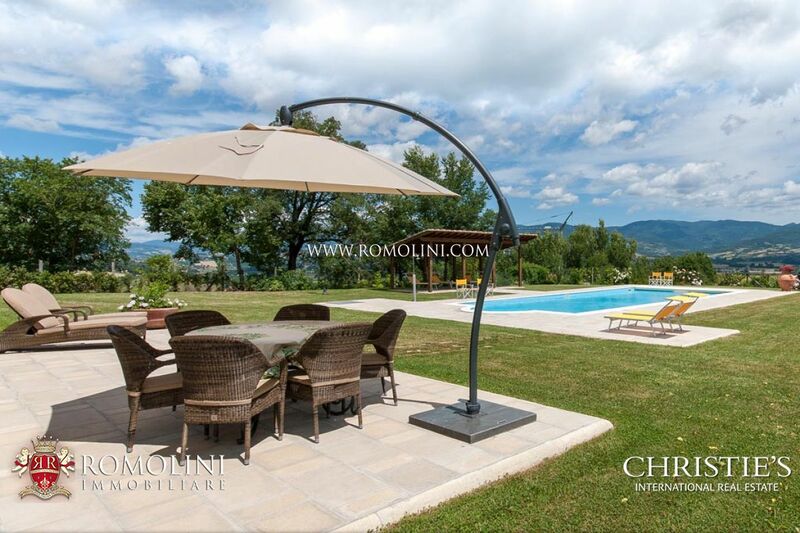 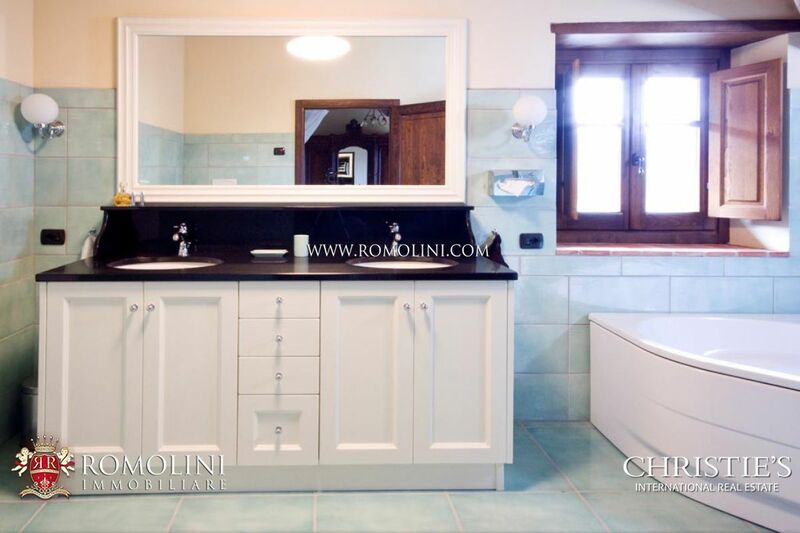 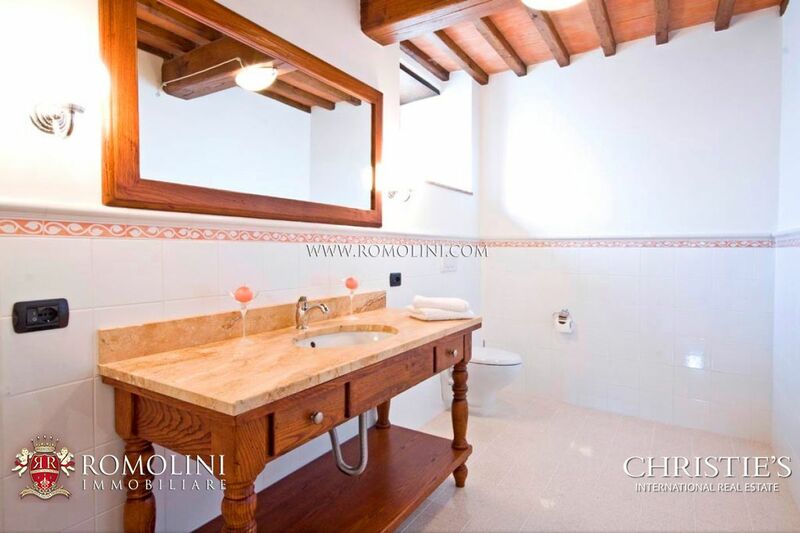 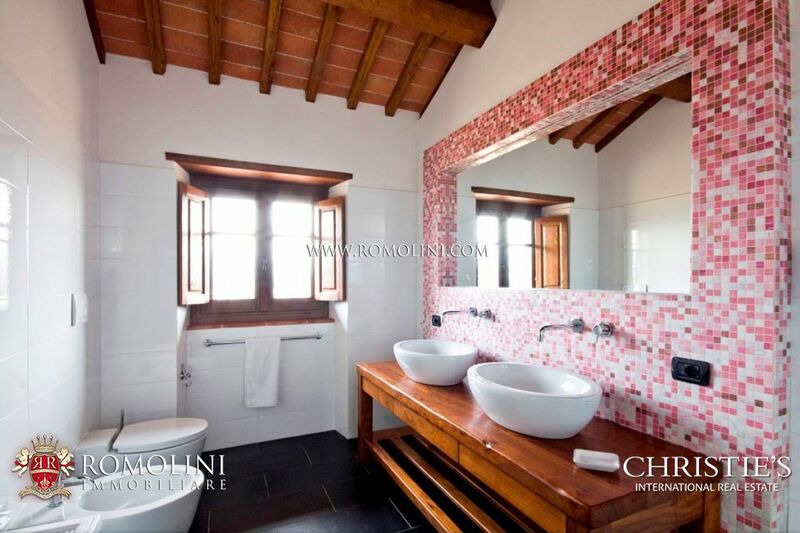 The villa with the two annexes have been recently fully renovated and they are currently in excellent conditions. 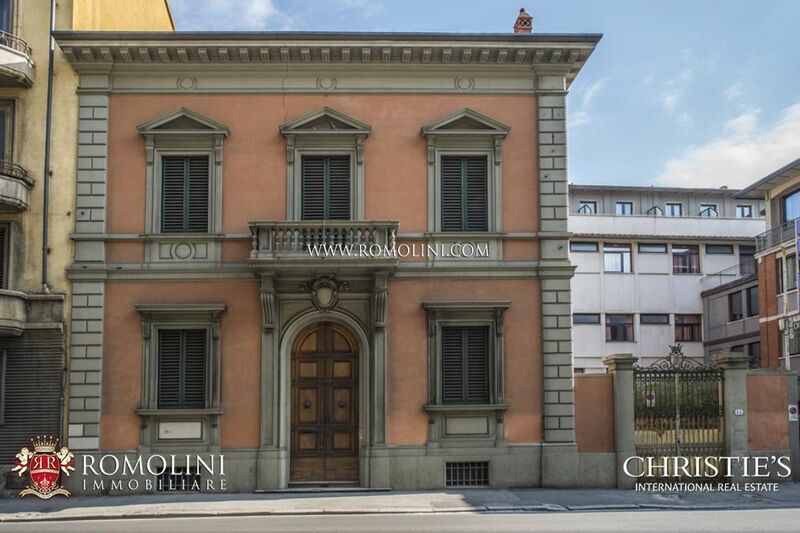 The restoration has been conducted with the maximum attention to preserve all the original features, but, at the same time, with the intention of introducing systems and finishes to the highest standards. 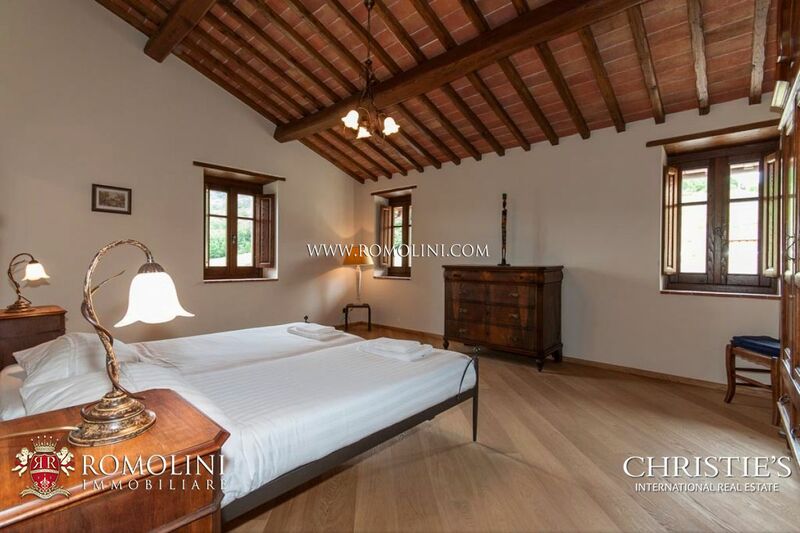 Ceilings are with wooden beams, floors are in terracotta, granite and parquet. 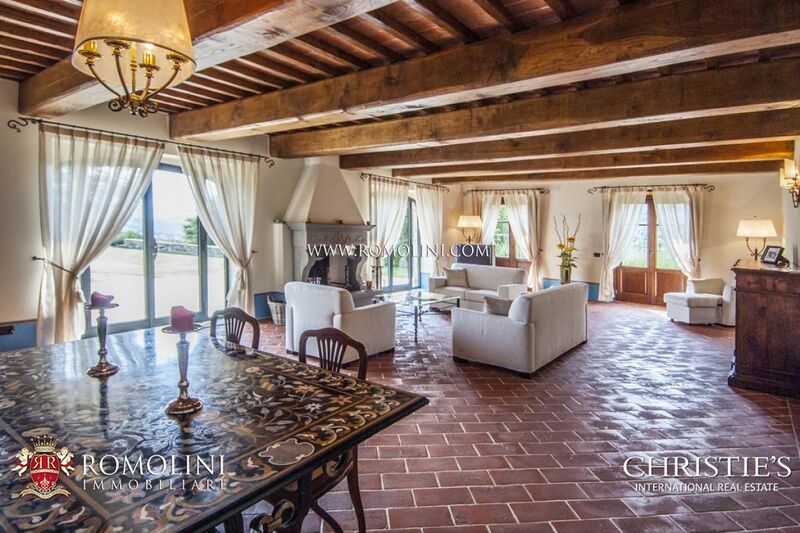 There is underfloor heating throughout. 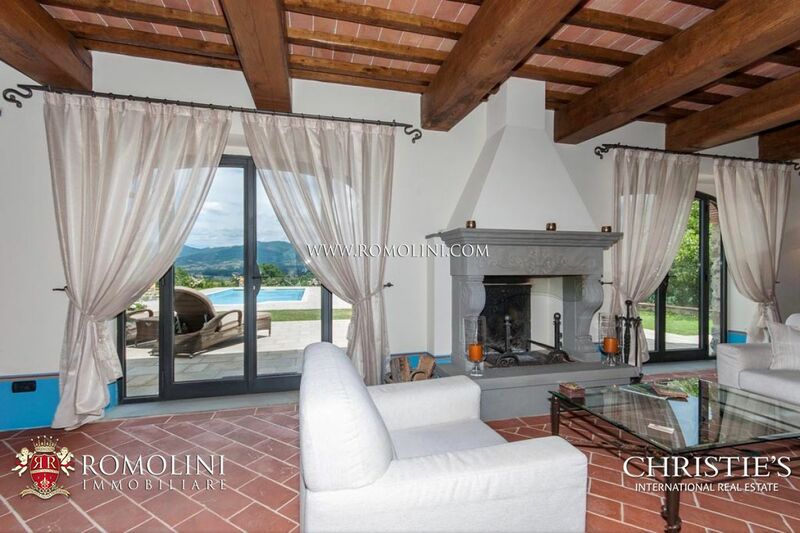 Big windows make the rooms very bright. 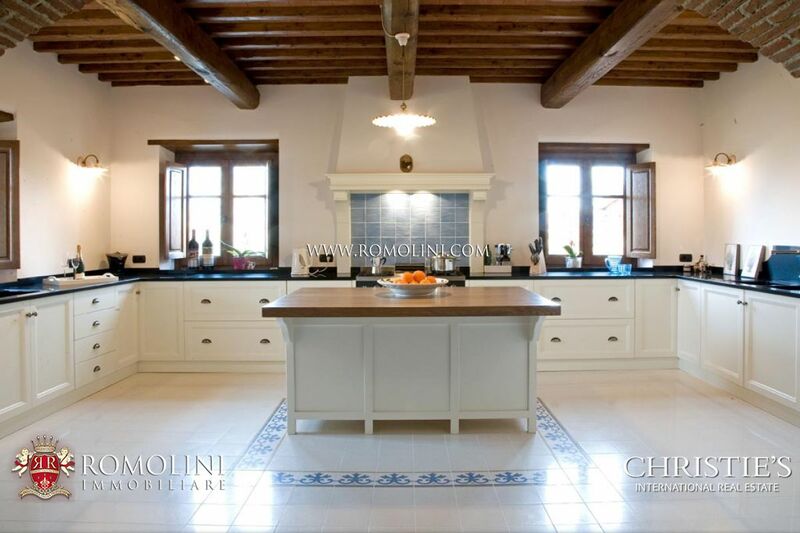 Furniture is a fine mix of antique and contemporary design. 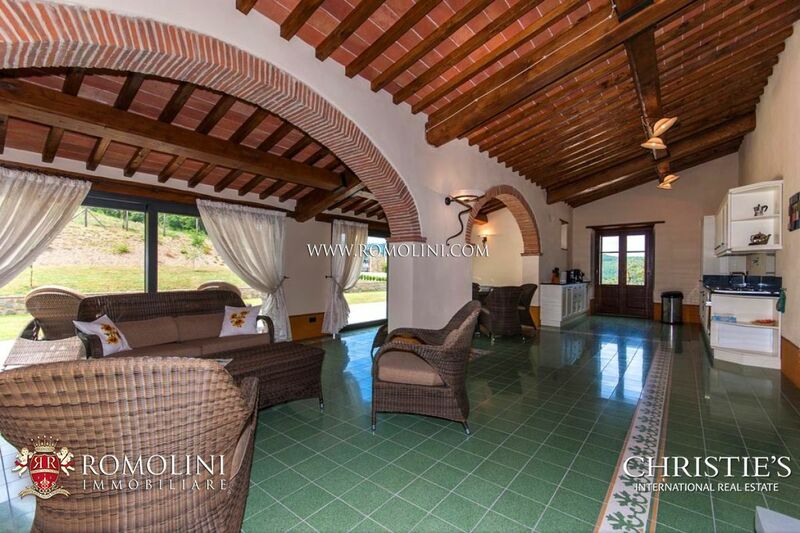 The villa with the two annexes sit within 32.6 hectares (80.5 acres) of private land, of which 1.3 ha can be used for a new building. 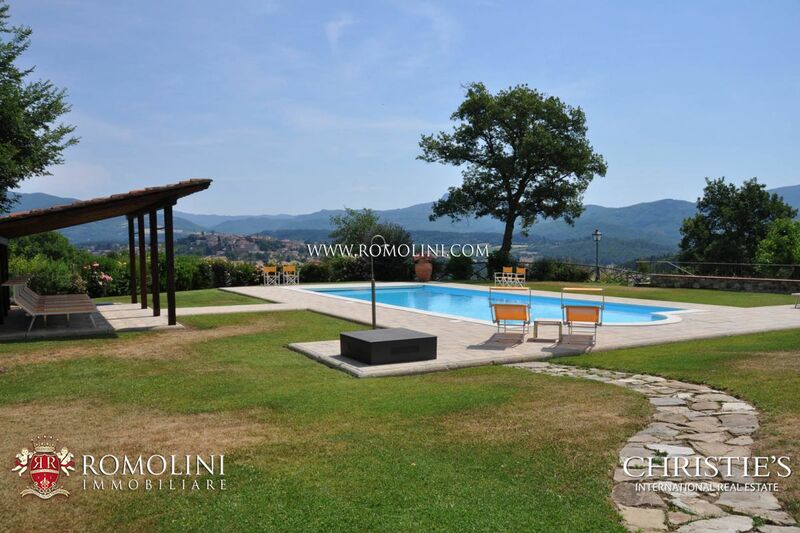 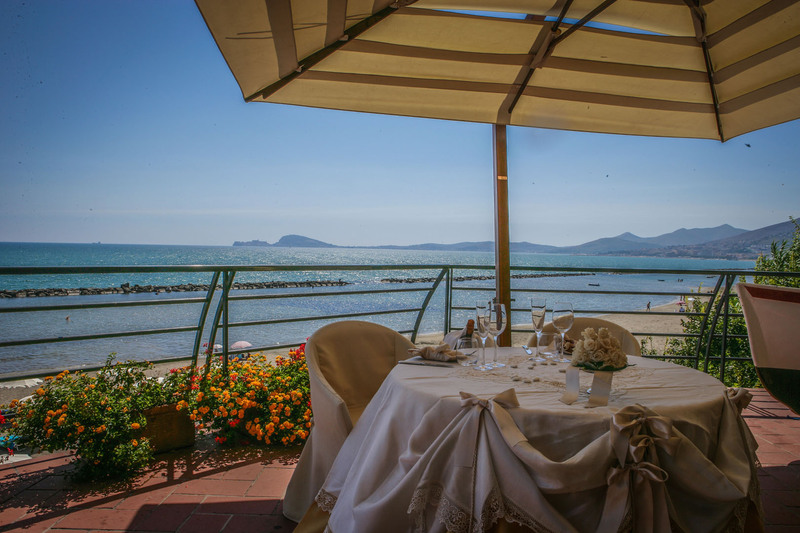 The area surrounding the buildings is all fenced and occupied by a small paved square, a landscaped garden with panoramic 7 x 5 m swimming pool, a pergola with a relax area, solariums, a private well, a fountain and a bread and pizza oven. 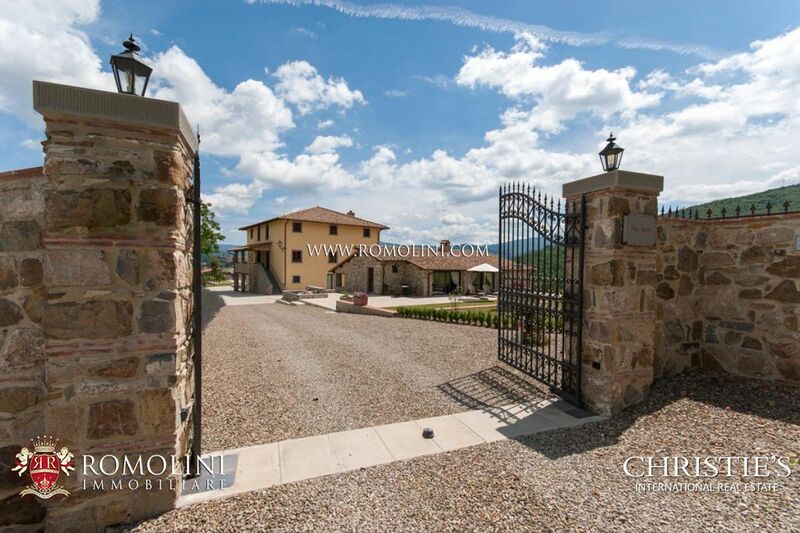 The access to the property is through two gates. 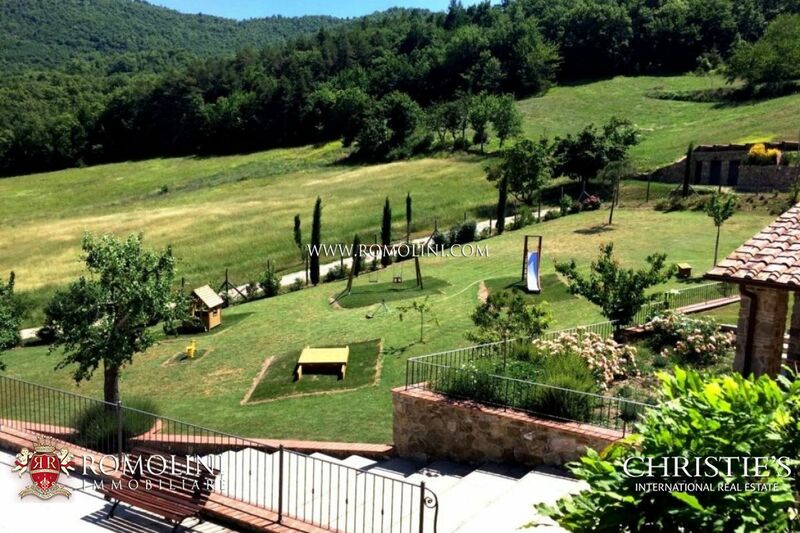 The property is also fitted with an outdoor children playground. 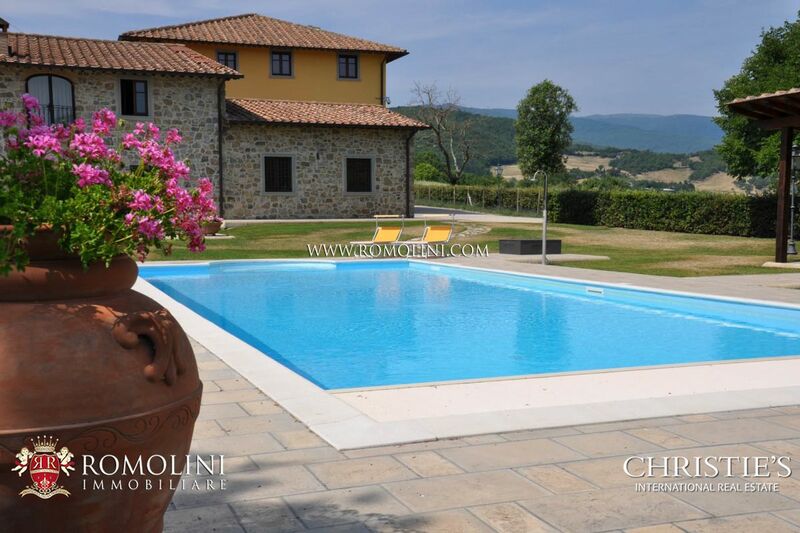 The property is currently used as a private residence with a small holiday rental business. 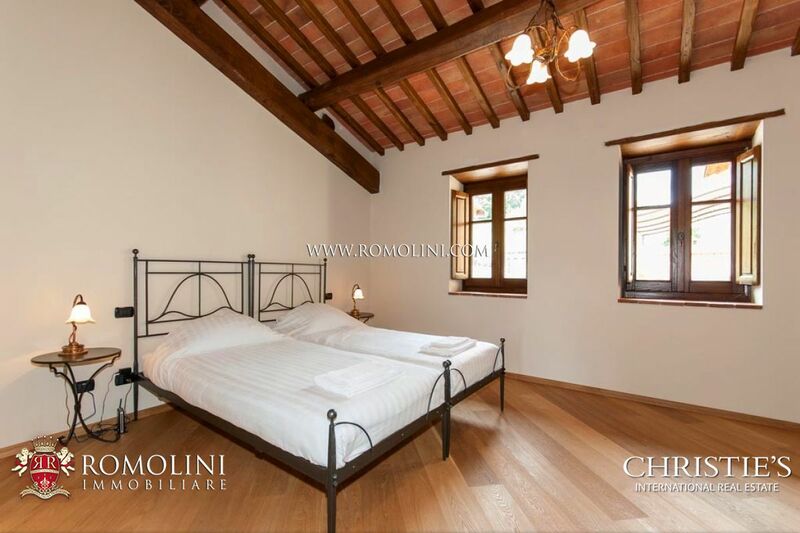 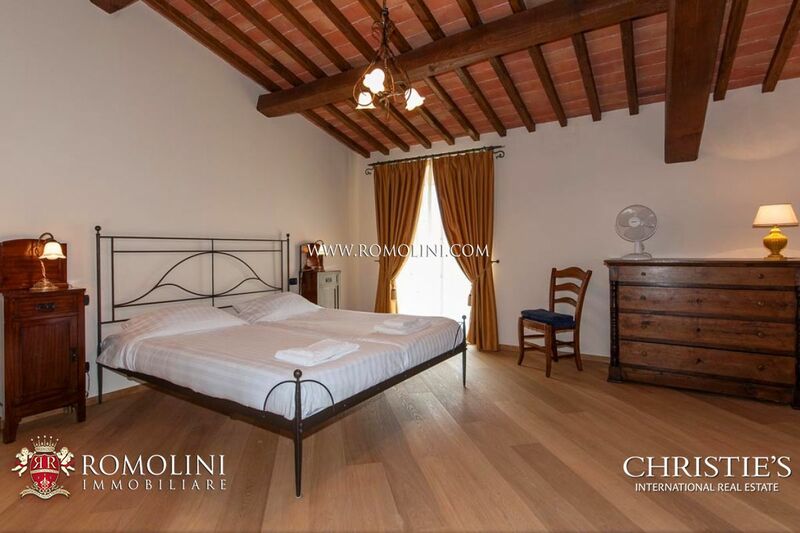 Given its geographical location, its panoramic position, the size and the high quality restoration, it would be ideal to be converted either into a farming business with annexed rental units (agriturismo) or into a small luxury Hotel.